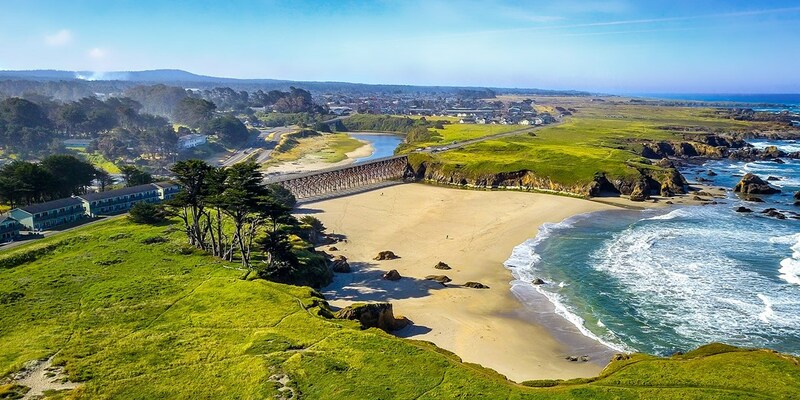 Plan an escape for two at a Travelzoo-member favorite, The Beachcomber Motel. 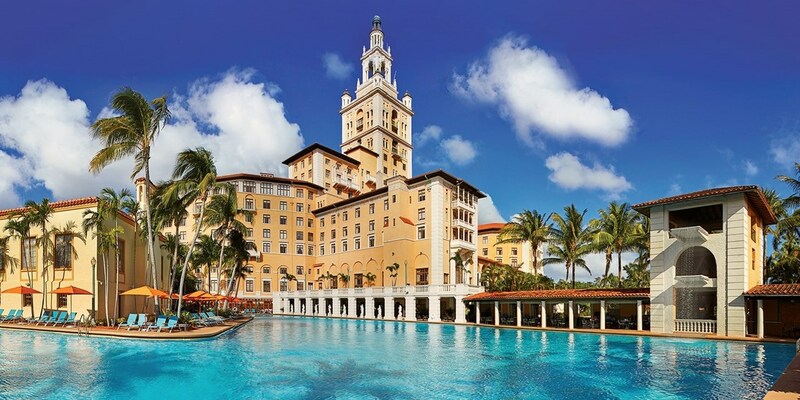 Guests save up to 65% with this offer -- and it's loaded with exclusive extras. 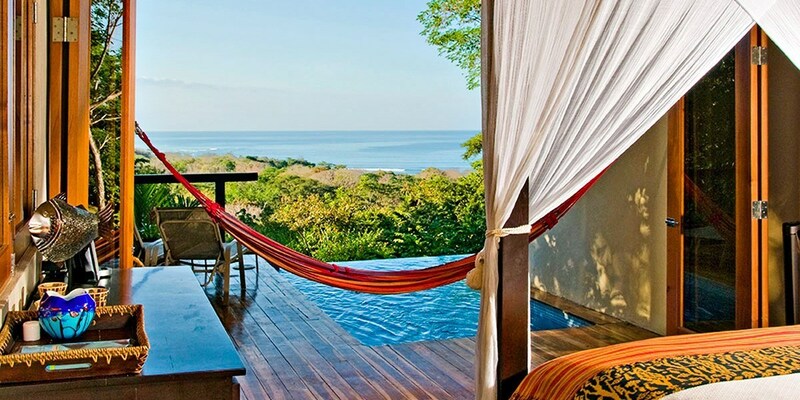 Costa Rica: Villa w/Private Plunge Pool, 55% Off! 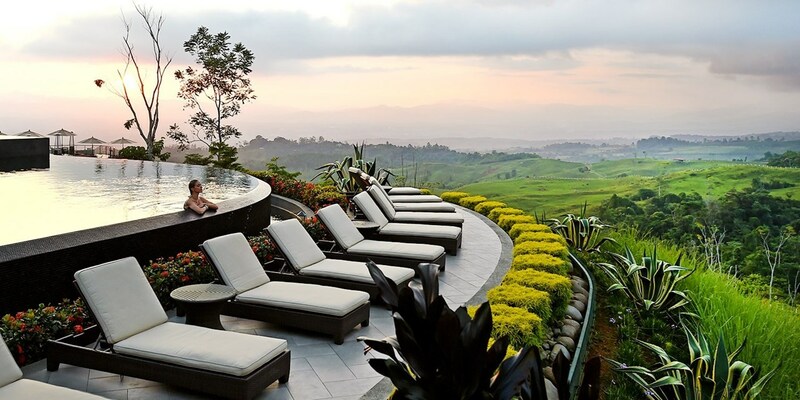 A laid-back, eco-conscious, adults-only escape awaits at this 4-star resort nestled in the Costa Rican jungle. 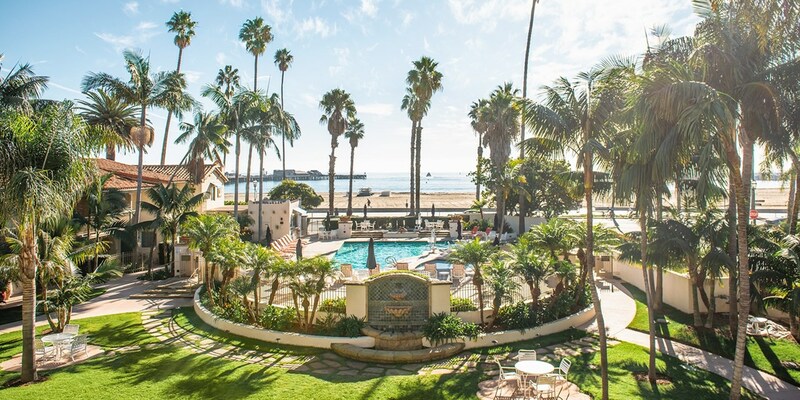 Laguna Beach Hotel w/Breakfast & Credit, 45% off! 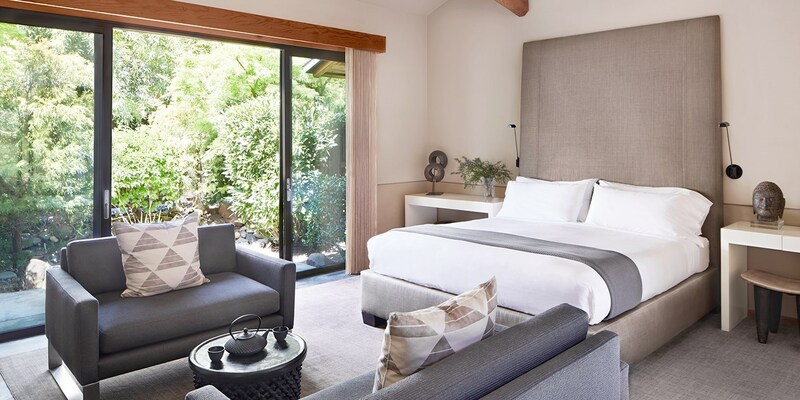 Located in one of the best beach towns in Southern California (Travel Channel) and just one block from the ocean, this Laguna Beach property is offering Travelzoo members exclusive savings of 45%. 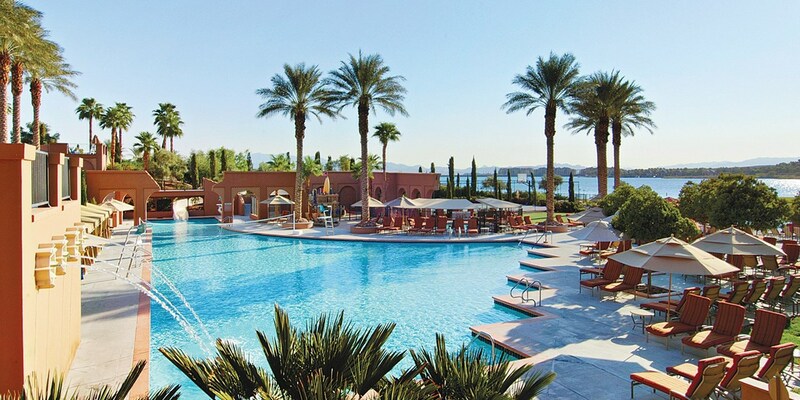 Lake Las Vegas 4-Star Resort w/Breakfast & Valet, 70% off! 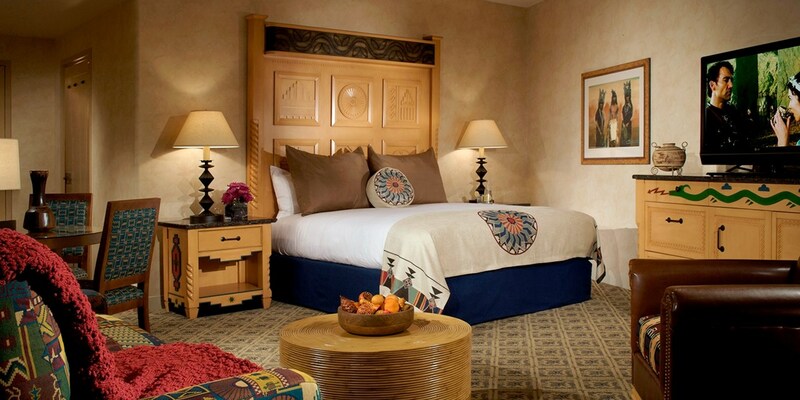 Enjoy views of Lake Las Vegas while saving up to 70% on regular rates for a Premium Lake View Room. 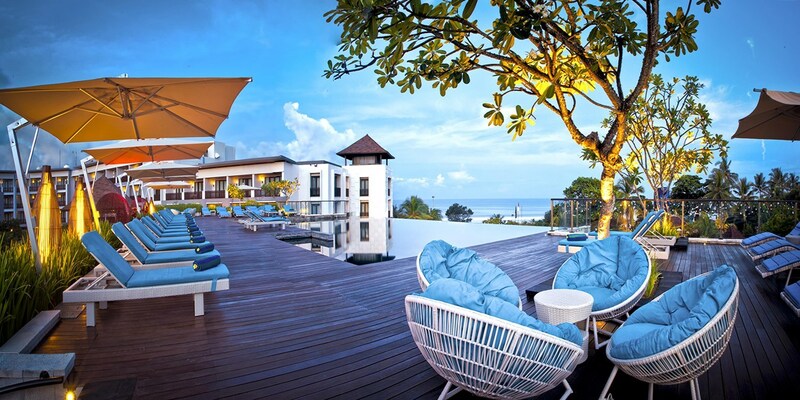 Travelzoo members also receive complimentary breakfast and valet parking with this exclusive offer. With kitchenettes, sofa beds and soundproof windows in every room, these spacious studios are perfect for travelers seeking some extra space. 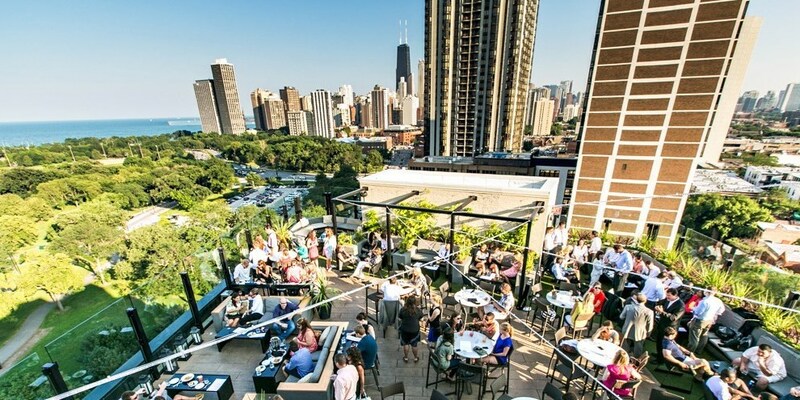 Save 55% on stays through spring -- including weekends -- at this centrally located hotel. 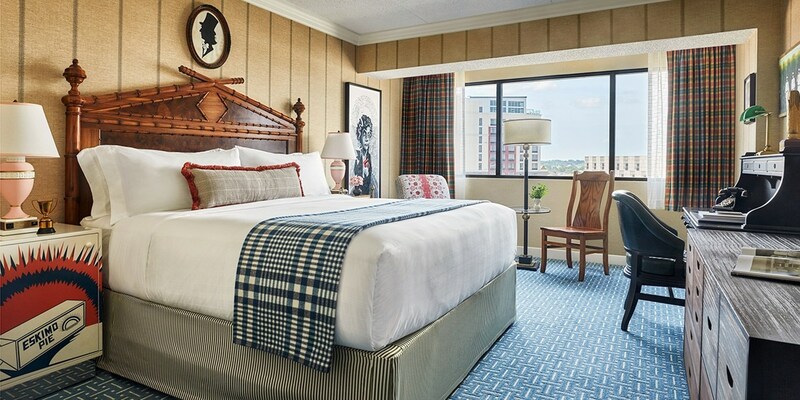 Historic Boston 4-Star Hotel, 50% Off! 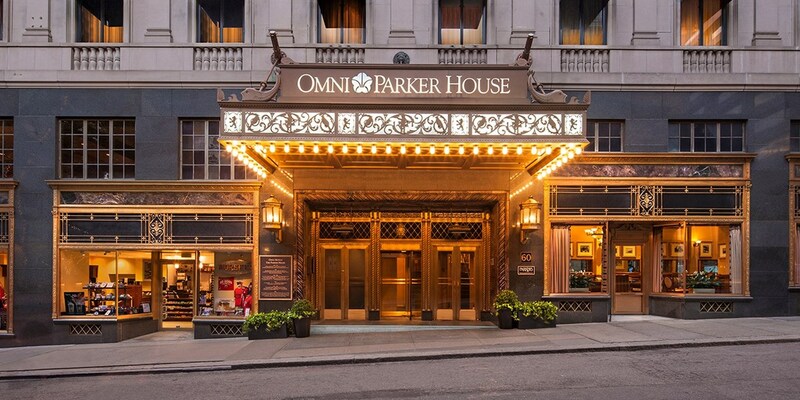 We're excited to see 50% off regular rates at this 4-star Omni hotel in the heart of Boston, with availability through early spring. 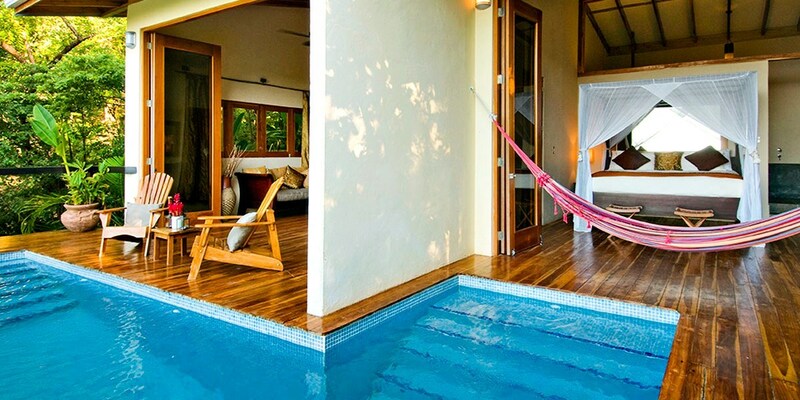 Costa Rica: Villa with Private Plunge Pool, 55% Off! 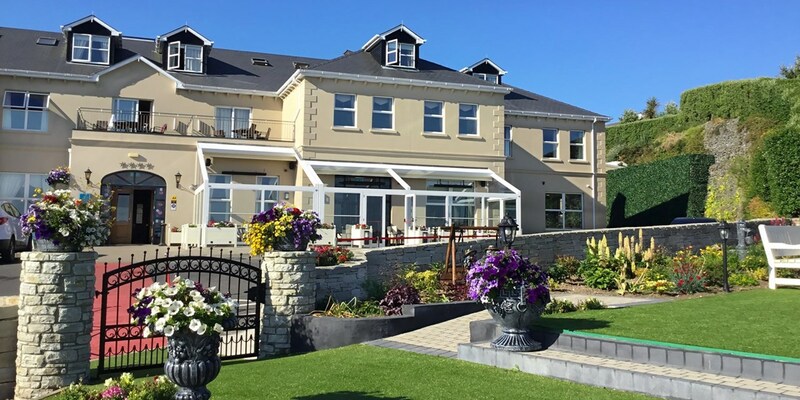 Ireland: 2-night Donegal stay, save 56%! 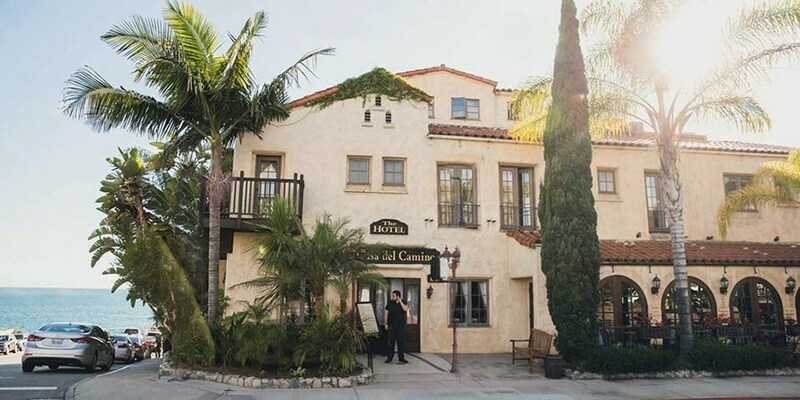 San Diego Hotel w/Breakfast, 50% Off! This newly renovated property is a quick drive from San Diego sights like SeaWorld, the San Diego Zoo and Old Town. 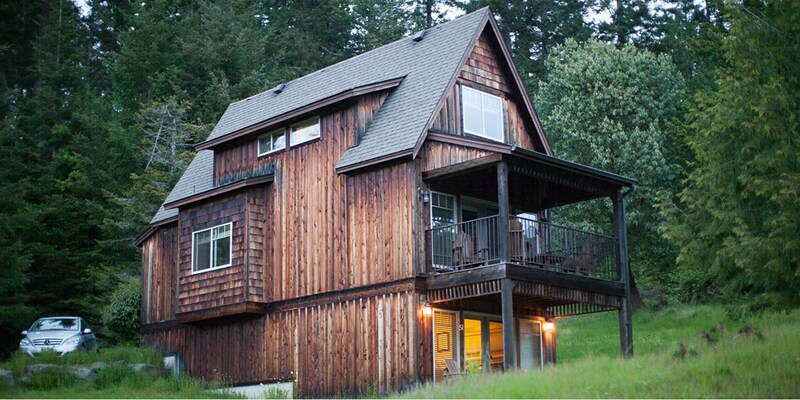 This 50%-off deal is available most dates January-March. 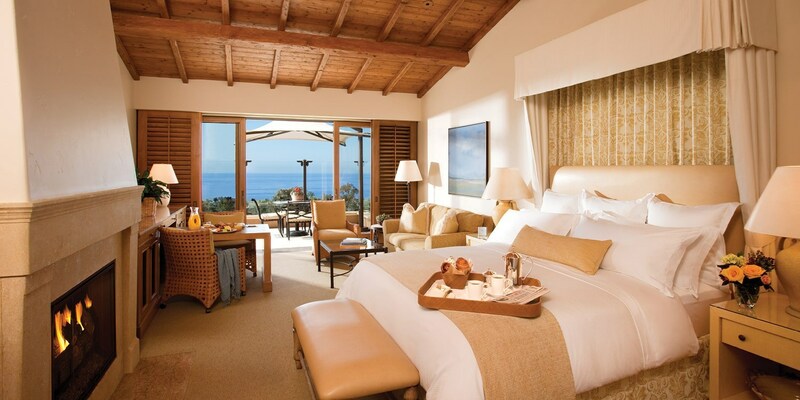 4.5-Star Cabo Azul Suite for 2, 50% Off! 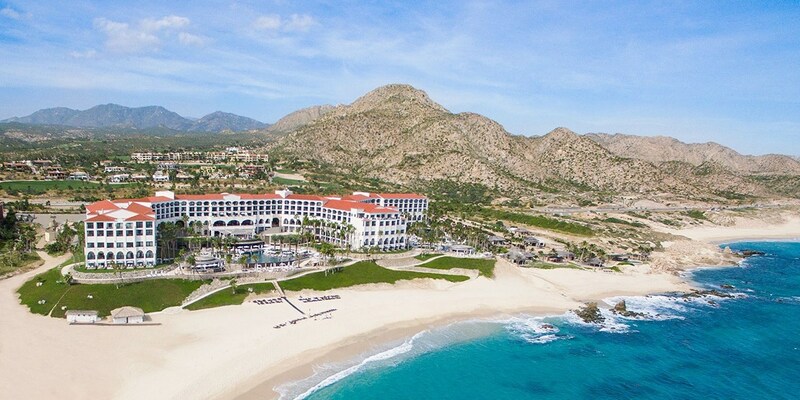 Away from the hustle and bustle of wild Cabo San Lucas, the 4.5-star Cabo Azul Resort offers a relaxed vibe on the quieter beaches of San Jose del Cabo. 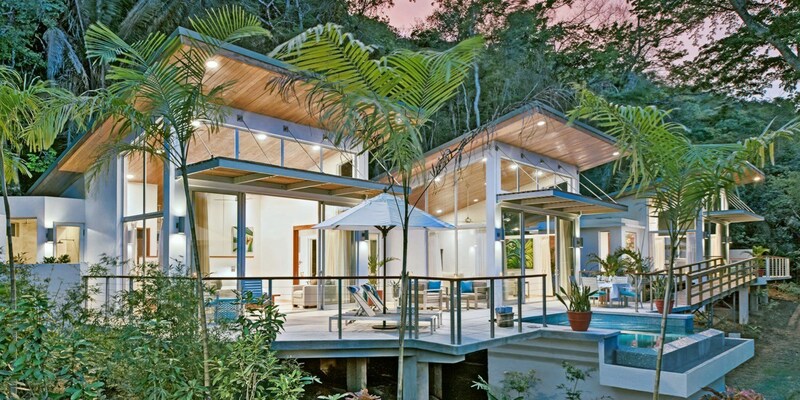 This deal on suites and villas saves Travelzoo members up to 50%. 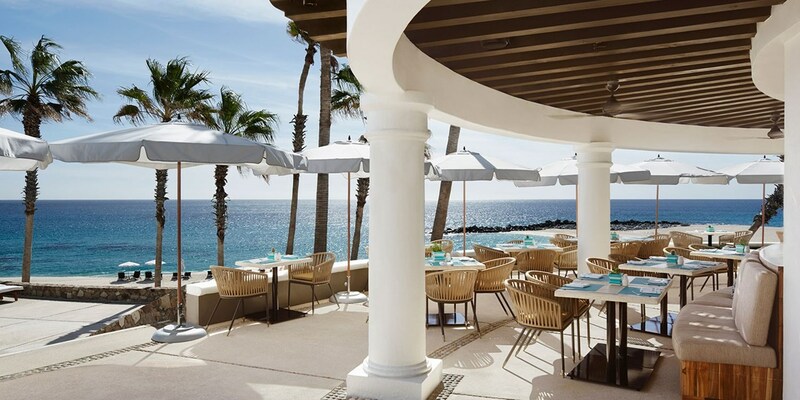 The per-stay dining credit is redeemable at Javier's, the seaside Mexican restaurant. 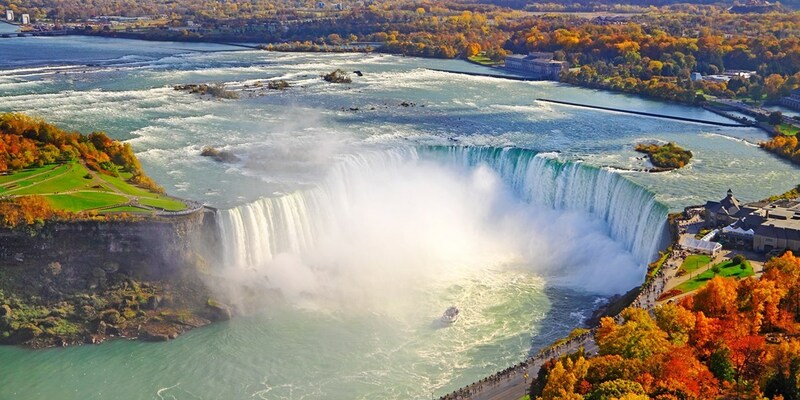 4-Star Fallsview Suite: Choice of Packages incl. Breakfast, 60% Off! 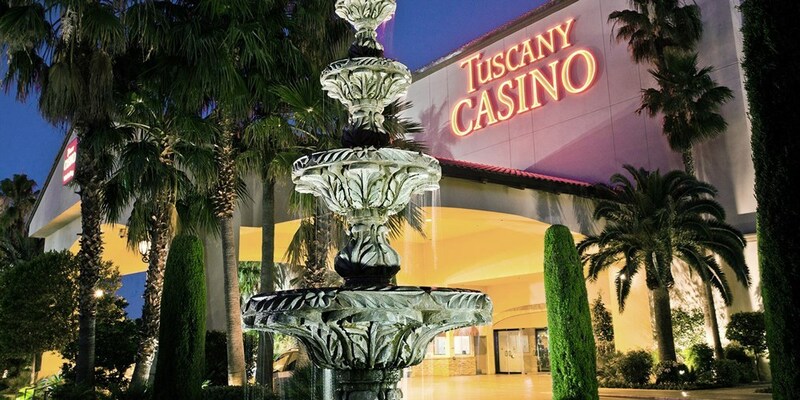 Grab a loved one and steal away to the Falls for a day of wine country touring and free slot play with this couples package. If you've got kids in tow, opt for the family package to snag admission to activities like mini putt and a mirror maze. 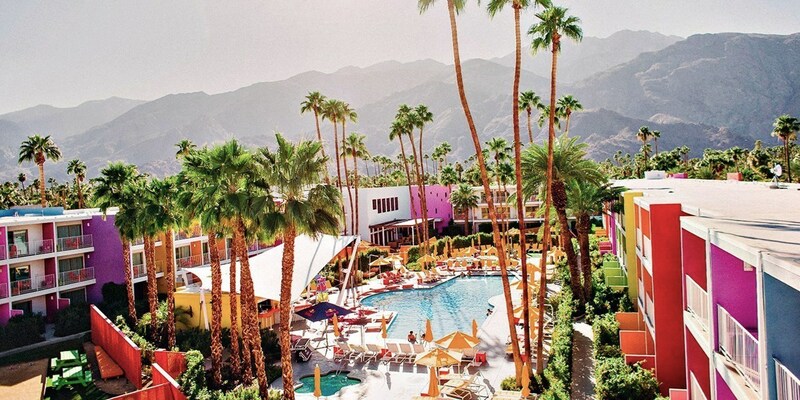 Vegas 4-Star Resort w/$40 Daily Credit, 40% off! 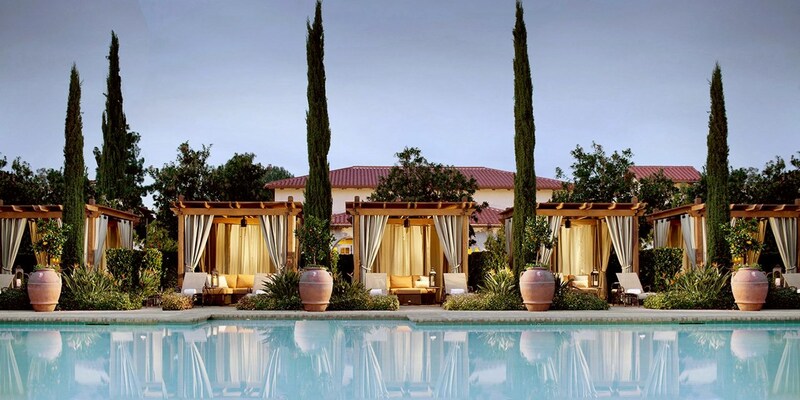 Snag this exclusive deal and save up to 40% at the newly renovated 4-star Palms Casino Resort, and cash in a $40 daily resort credit – it can even be used at the new steakhouse, Scotch 80 Prime, which Forbes calls "one of the best additions to the Las Vegas restaurant scene this year." 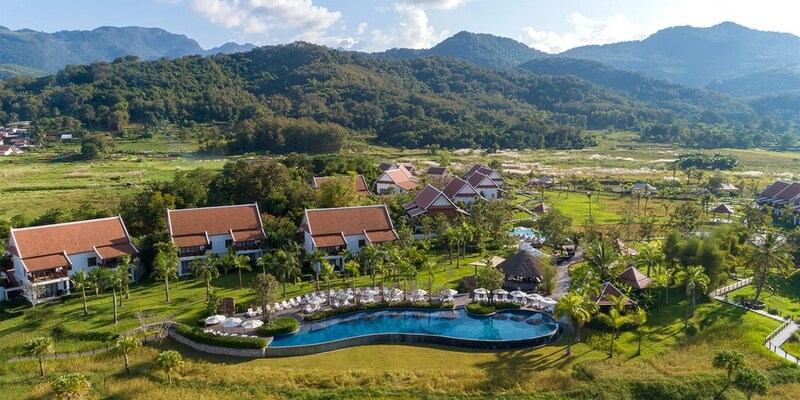 £777 – 7-Nt Getaway at 'World's Top Hotels' w/Transfers, Spa & Cocktails! 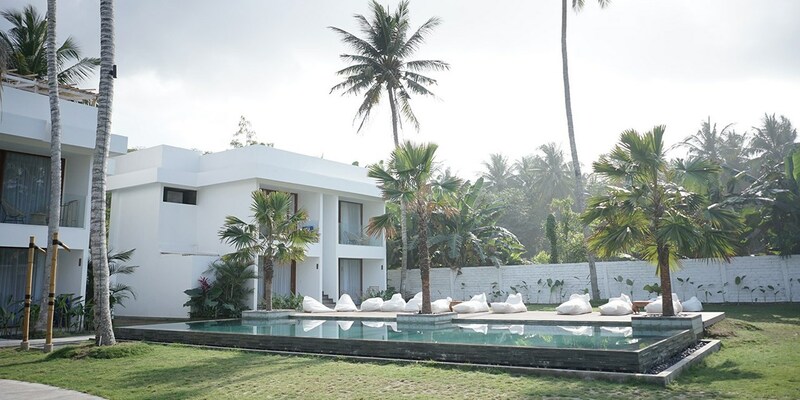 Besides "wonderful snorkeling opportunities along the unspoiled East Bali coast," (Harper's Bazaar UK) a stay at 5-star Alila Manggis offers tranquility and a cultural experience that should be savored, not rushed. 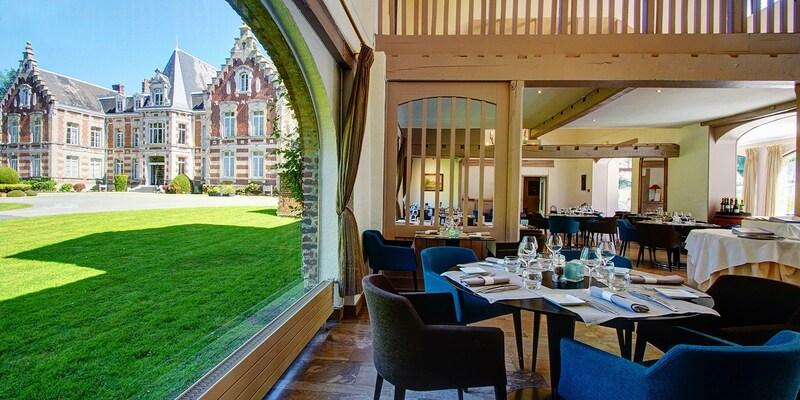 A shorter 3-night stay is also available at £432 and includes the upgrade, transfers and cocktails for two. 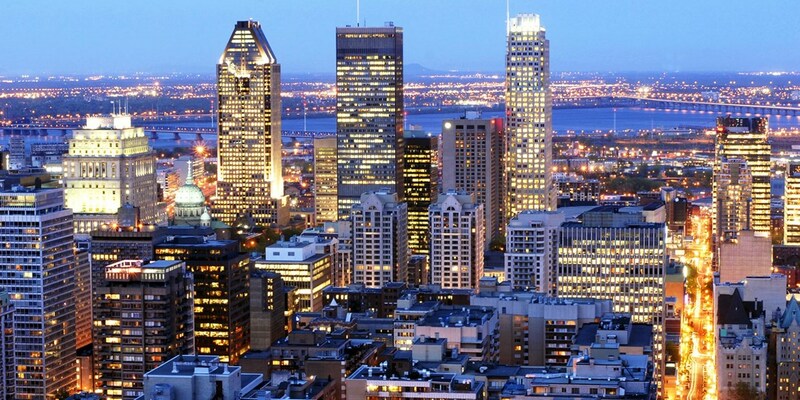 Downtown Montreal Stays incl. Breakfast, 20% off! 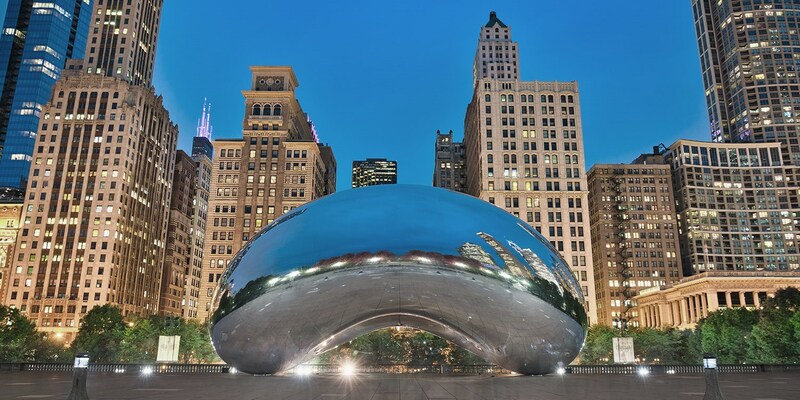 Experience the best of Downtown Montreal with stays including breakfast. Save 20% compared to surrounding dates. 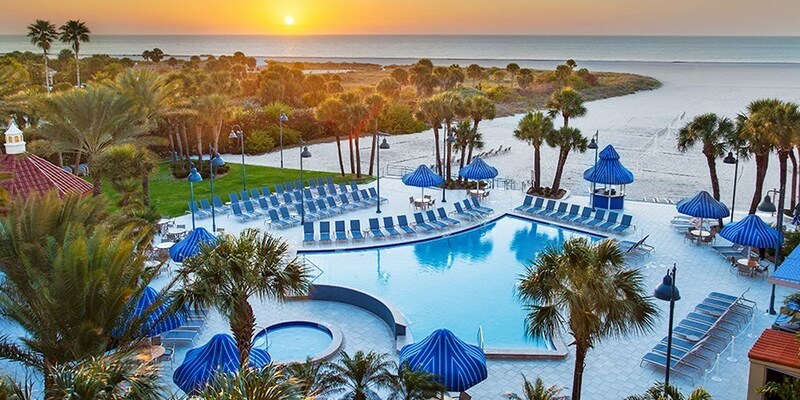 Florida: New Sarasota Hotel, 50% Off! 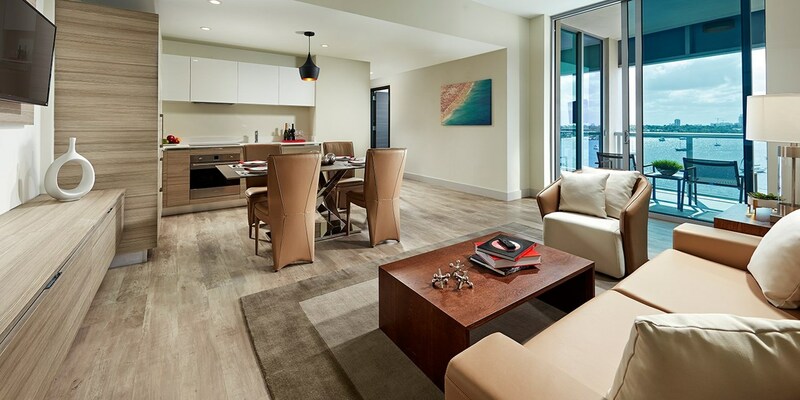 With this exclusive deal, Travelzoo members receive half off stays through May at this stylish, newly debuted hotel in downtown Sarasota. 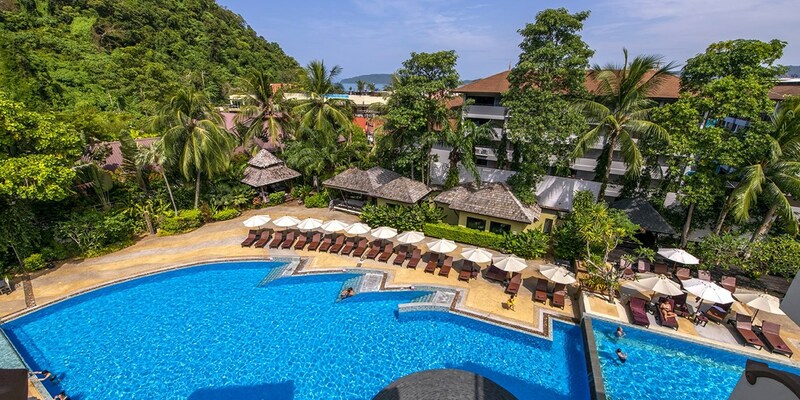 Pool Suite for 4 at Luxe Thai Beachfront Resort, Save 40%! 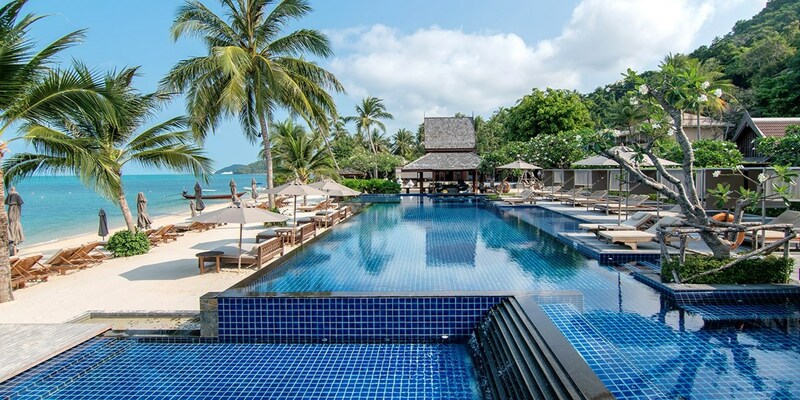 Why settle for the typical Thai beach destinations when you can head to Pattaya, one of Thailand's "juiciest beach-side addresses," (Conde Nast Traveler) for your next getaway. 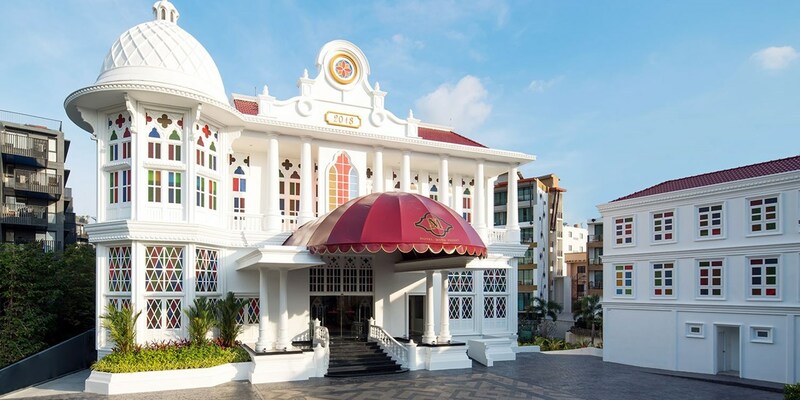 Set in the laid-back Jomtien area, 5-star Veranda Resort Pattaya - MGallery by Sofitel is offering stays from £225 a night with a minimum stay of 3 nights. 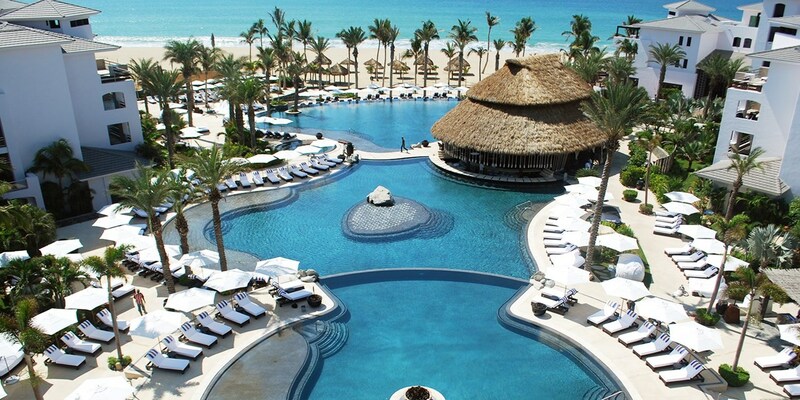 Save up to Half price on these amazing international hotel deals secured exclusively for Travelzoo customers! 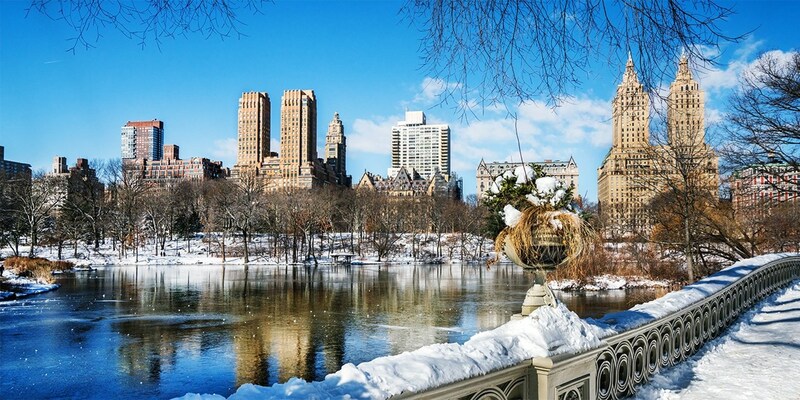 NYC: Hip Upper West Side 4-Star Hotel, 40% off! Kick off 2019 with a New York City stay for up to 40% off. 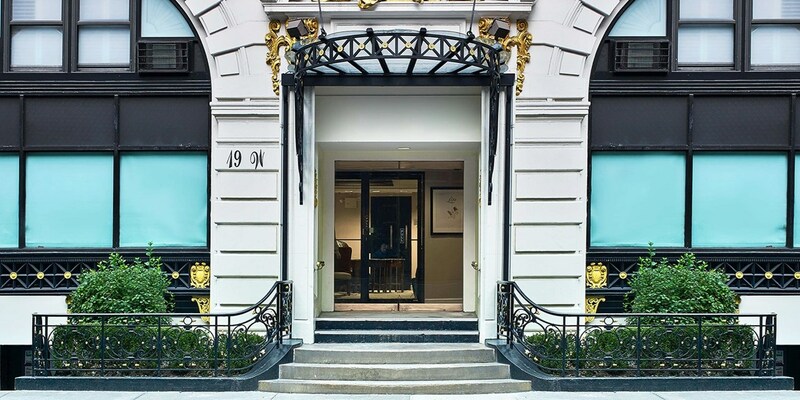 This boutique hotel on the Upper West Side is two blocks from the Museum of Natural History and Central Park. 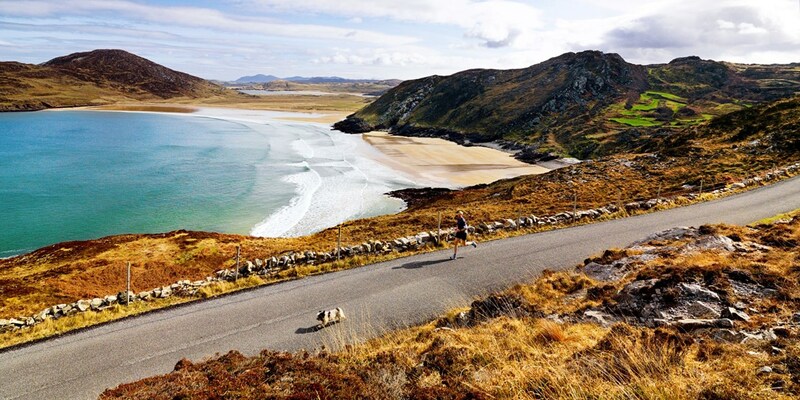 Even better: a waived daily fee saves you £39 per day. 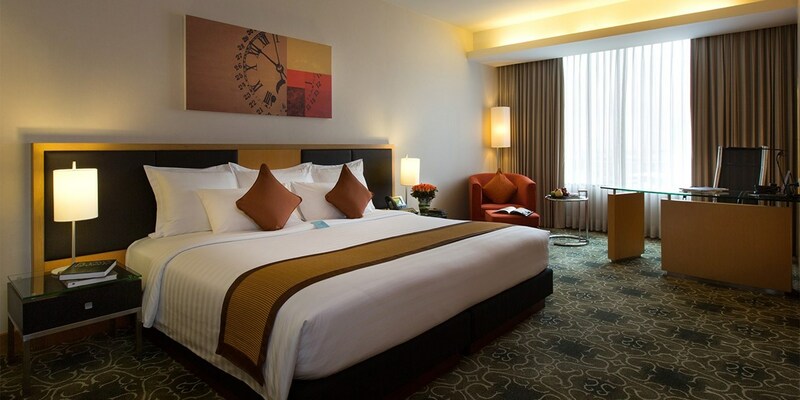 The Villas at Grand Geneva, Save 55%! 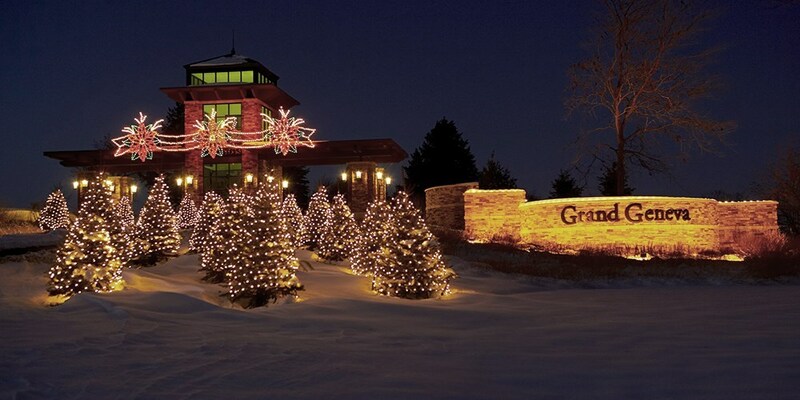 Perfect for groups and families looking for a longer, more luxurious stay, the Villas at Grand Geneva are available for winter vacations at up to 55% off. 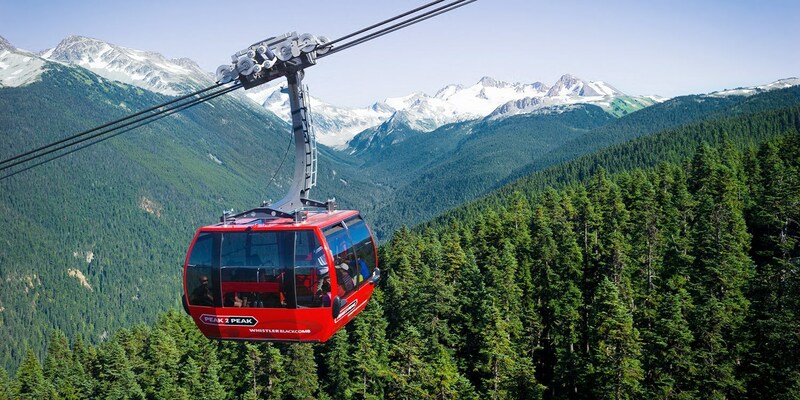 Whistler Village: 30% Off Peak Ski-Season Dates! 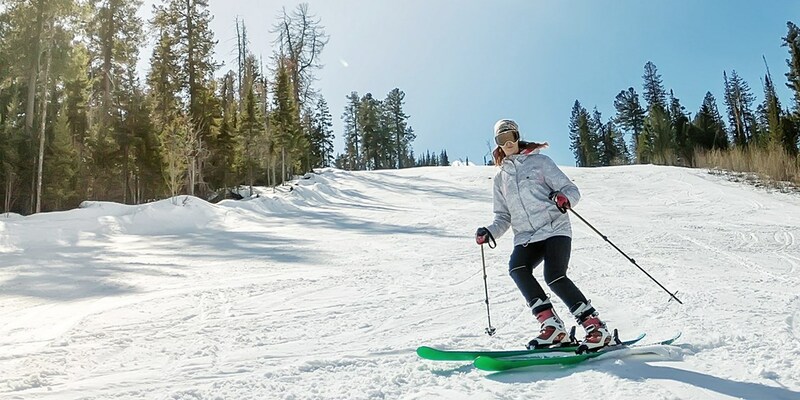 We're excited to offer Travelzoo members 30% off nearly every peak ski-season date through March. 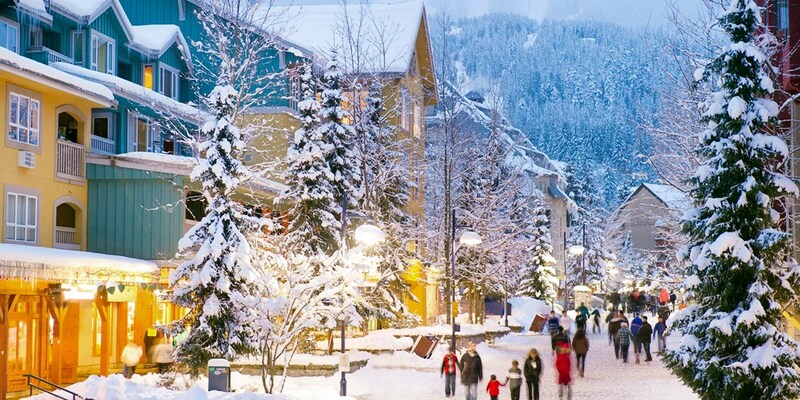 The Mountain Side Hotel Whistler by Executive is a two-minute walk from the lifts and has a year-round outdoor pool and hot tub. 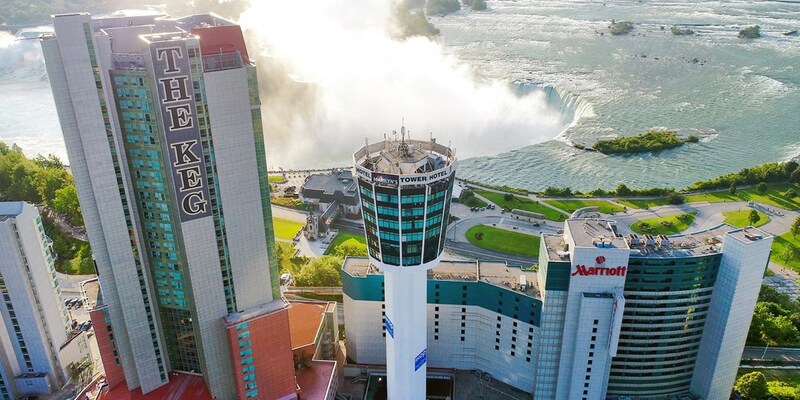 Niagara Falls Stay w/Casino Credit, from £52! 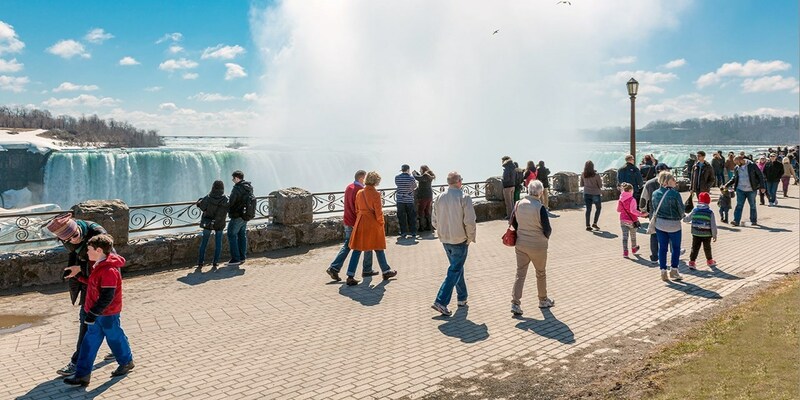 This Niagara hotel's cozy rooms are "sophisticated, with large windows and amazing views" (Oyster). 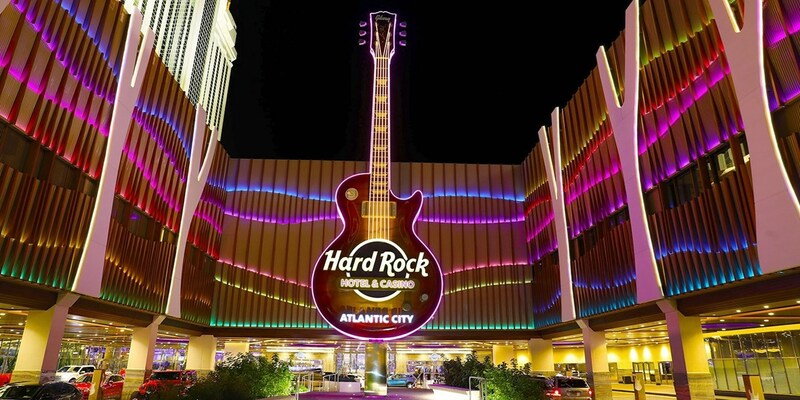 Save over 25% on packages including dining and casino credits. 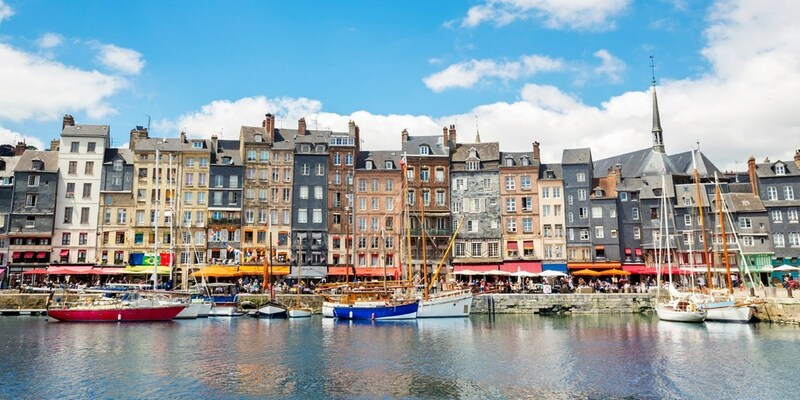 Normandy: coastal escape w/breakfast, up to 41% off! 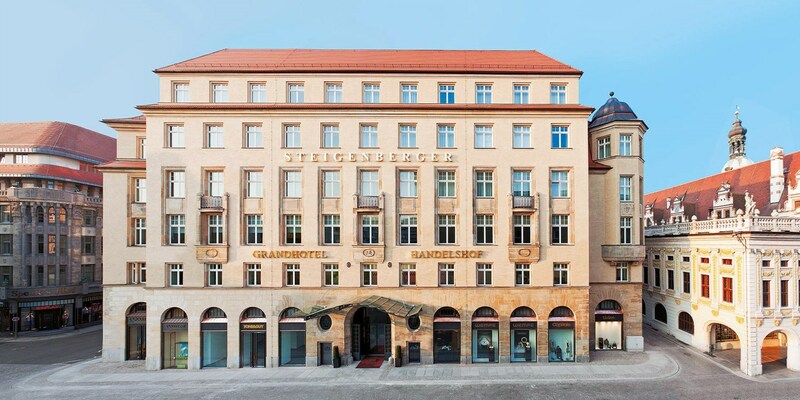 Berlin: 5-star stay with breakfast, 30% off! 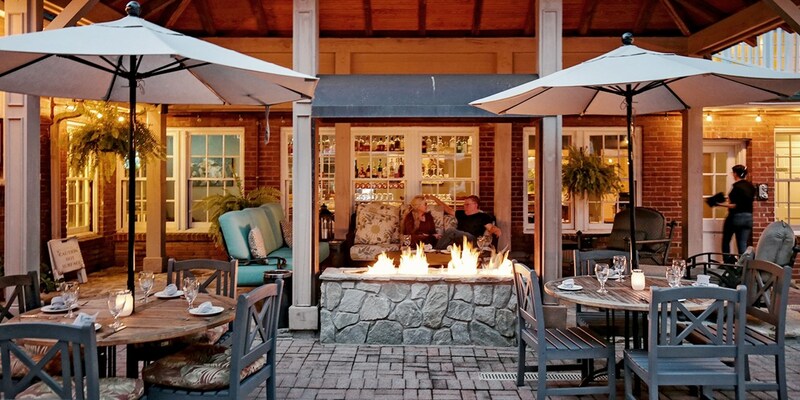 Hockley Valley Ski Getaway with Breakfast, Only £140! Hockley Valley may be close, but it feels like a world away. 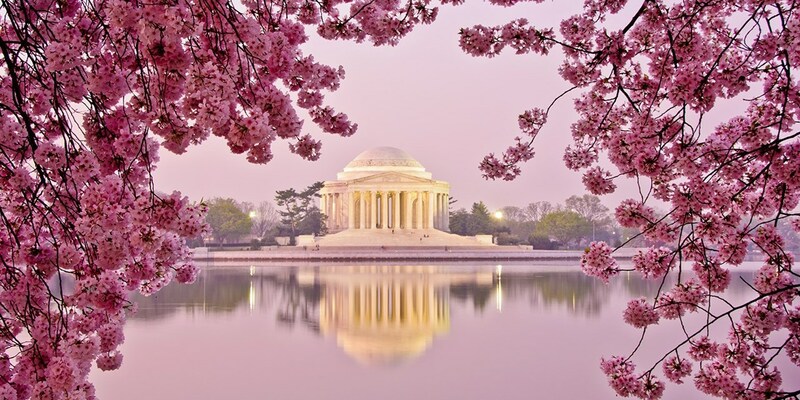 Travelzoo members can enjoy this "gorgeous locale" for 35% off, all the way through March (National Post). 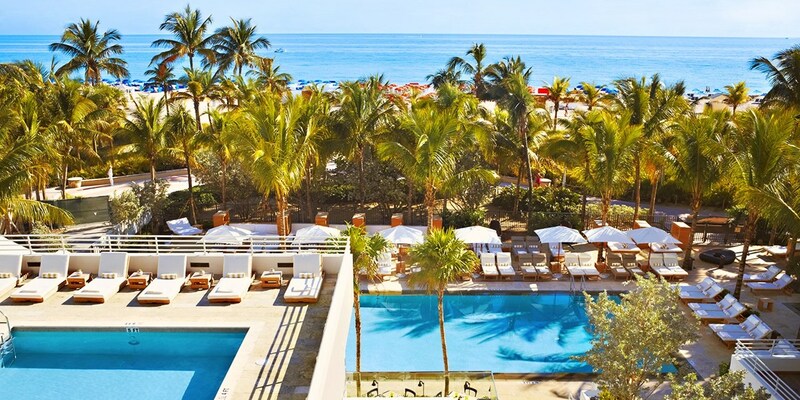 Luxe Miami Hotel incl. Breakfast, 45% Off! 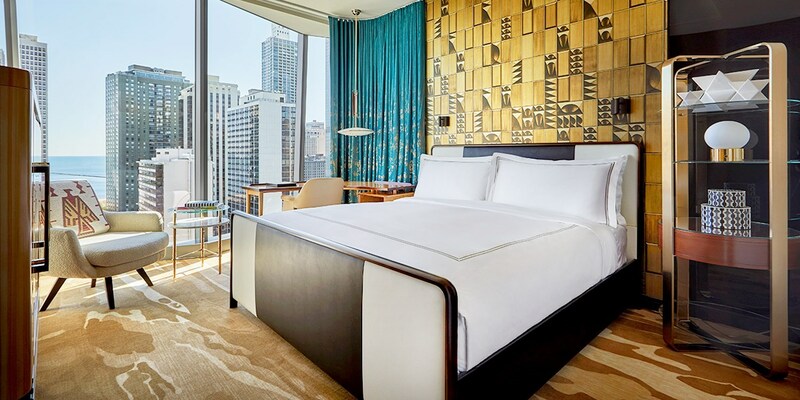 This modern 4-star hotel is offering Travelzoo members up to 45% off stays through winter and into early spring (when we usually see Miami hotel rates skyrocket). 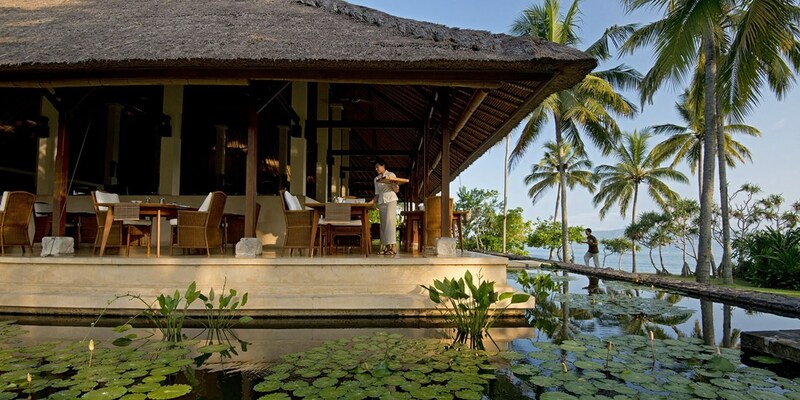 Stays also come with complimentary daily breakfast for two. Stonehenge & Bath tour, 50% off! 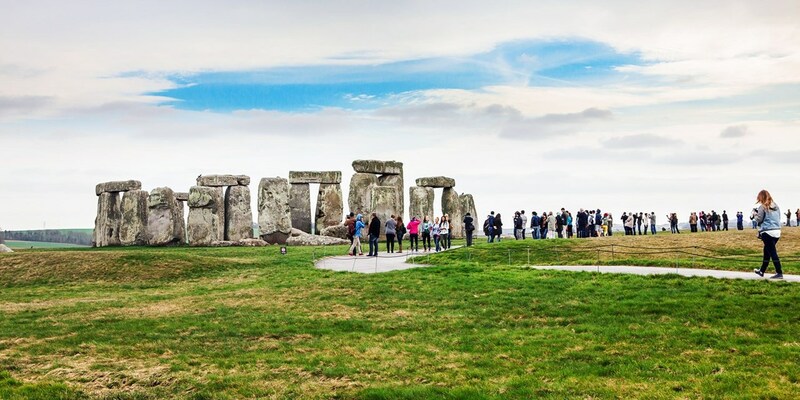 A day trip from London to Stonehenge and Bath by coach is now £39.50 with this offer from Premium Tours, which includes entry to Stonehenge and a walking tour of Bath. 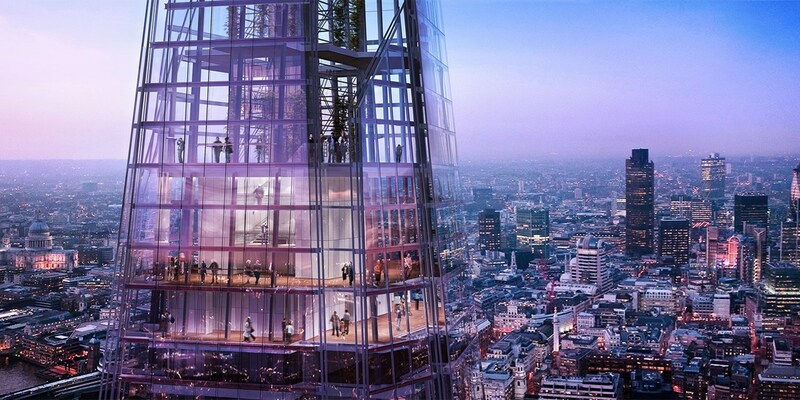 The View from The Shard: flexible ticket, save 33%! Standing at 800 feet, the viewing platform at The Shard offers a "memorable experience" thanks to "spectacular" views across London, according to The Daily Telegraph. 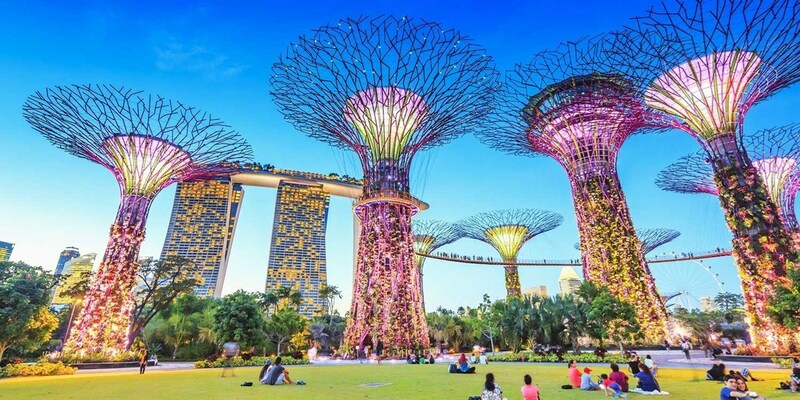 Travelzoo members can now save up to 33% on tickets. 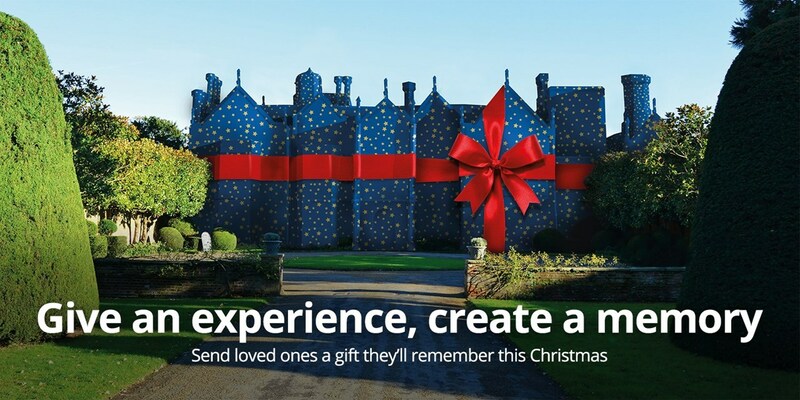 International hotel deals & Christmas gifting! Barcelona: 4-star hotel w/breakfast by the sea, 40% off! 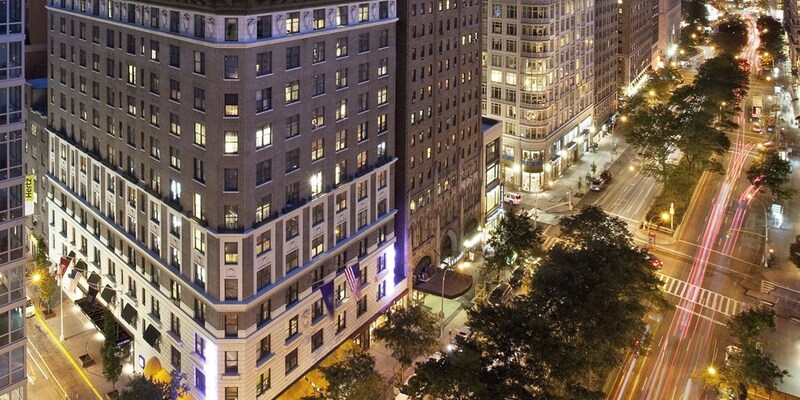 Iconic NYC Stay near Herald Square, 45% Off! 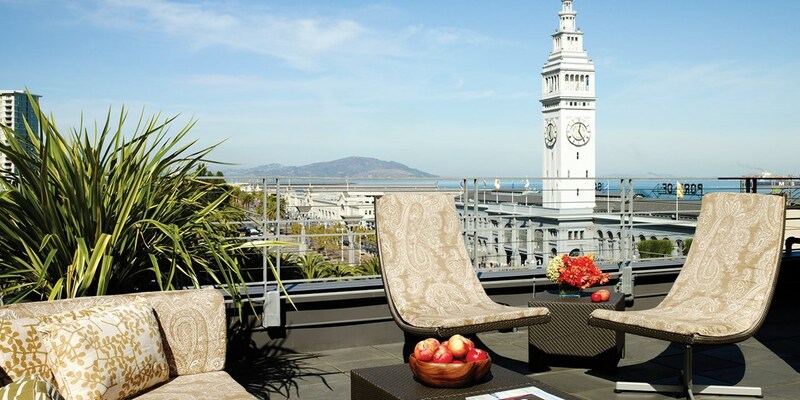 The Life Hotel is offering Travelzoo members exclusive 45% savings on stays through March at its historic NoMad location, originally home to Life Magazine. 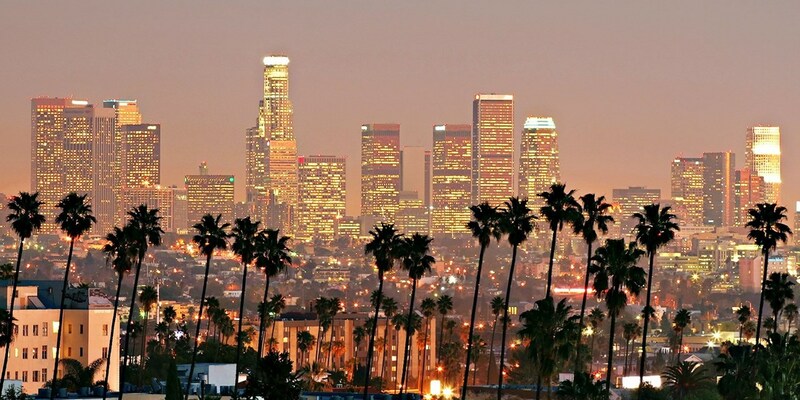 Los Angeles Hotel w/Breakfast & Parking thru May, 55% off! 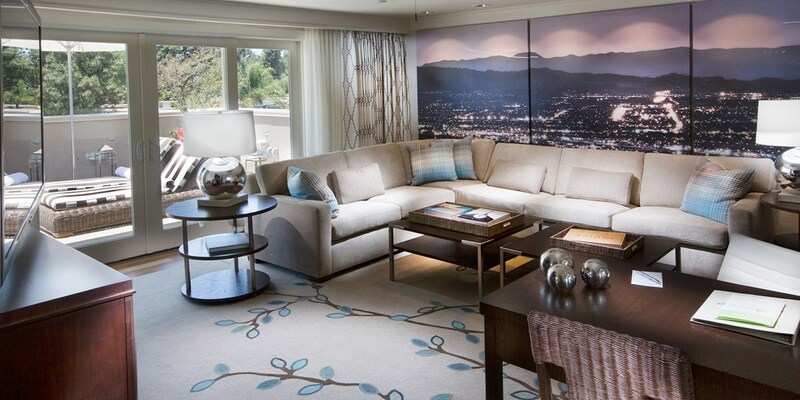 This boutique hotel offers a convenient location off the 405 and spectacular views of the entire city. 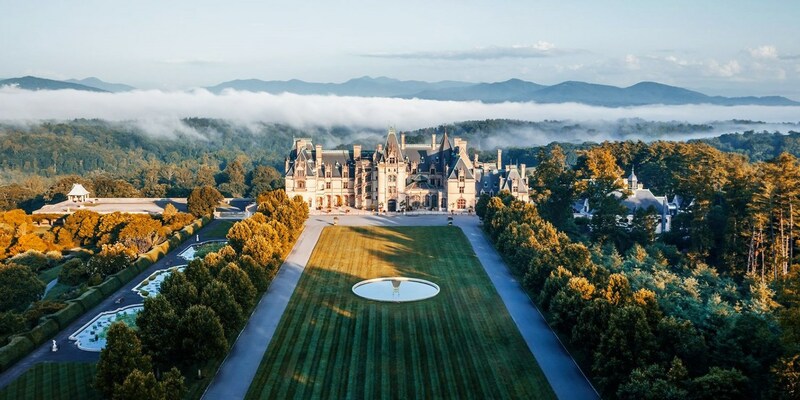 Save up to 55% on stays through May. 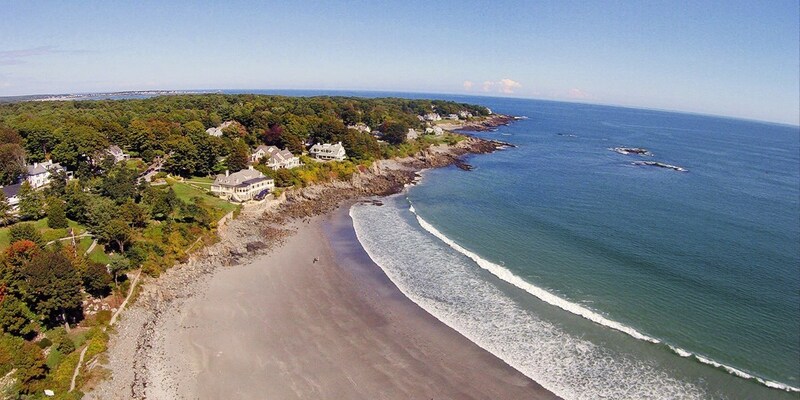 Coastal Maine Inn w/Dates into Spring, Only £59 per night! 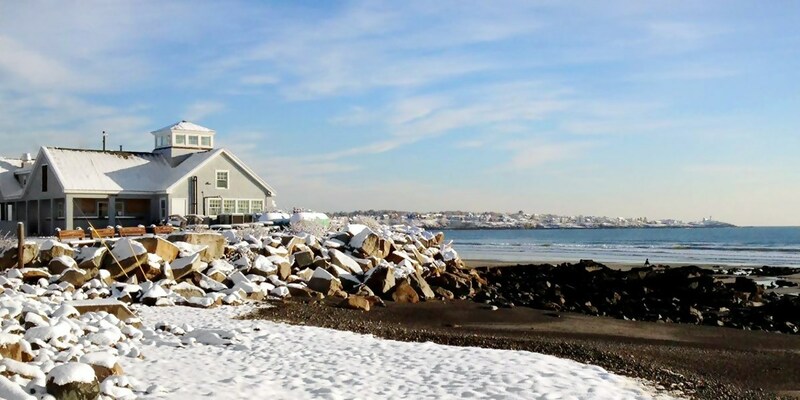 Anchorage Inn and Resort in York Beach, Maine, is a member favorite and the perfect destination for a quaint coastal retreat, with two indoor pools, that the family can enjoy no matter the season. 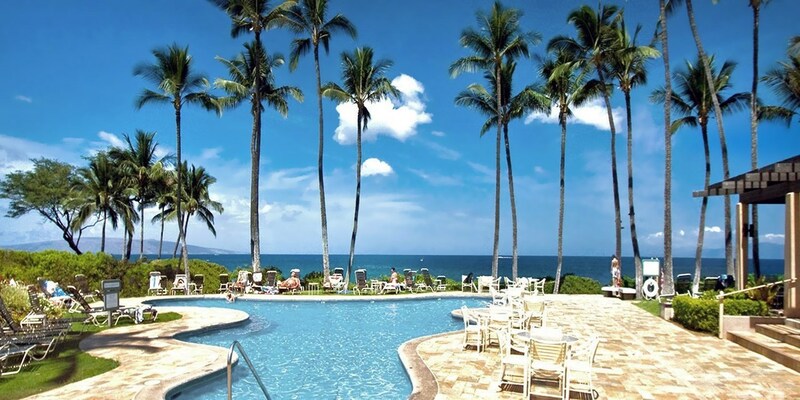 Save 35% on standard queen rooms and suites for stays through May 2. 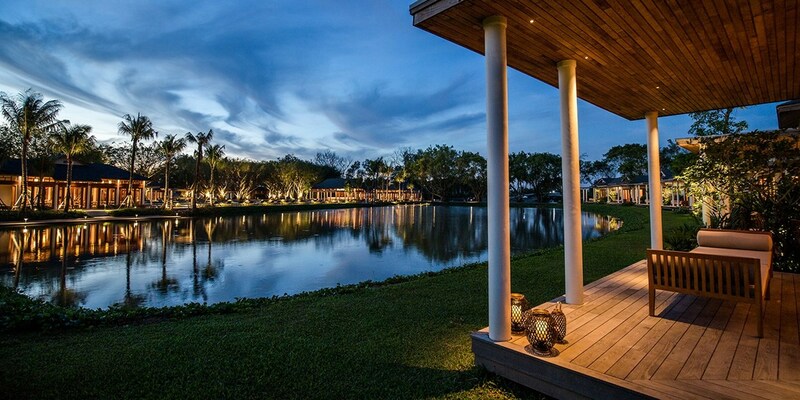 Even better: Up to four guests can stay with no extra-person fees. 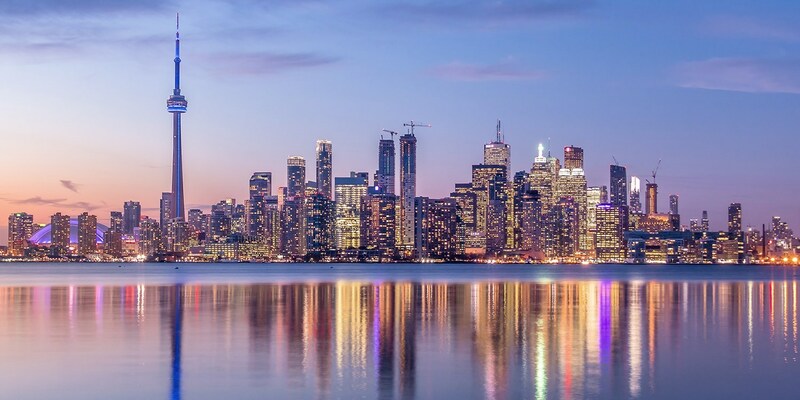 Downtown Toronto stays through February, Only £90 per night! 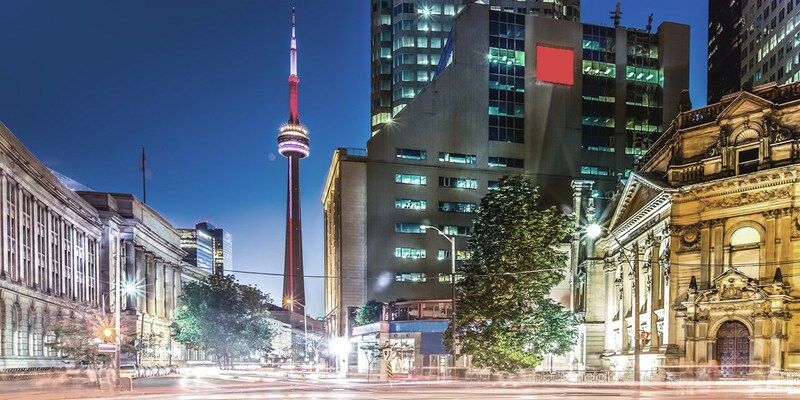 Historic hotel located in the heart of downtown Toronto is now offering savings of 35% on stays through February. 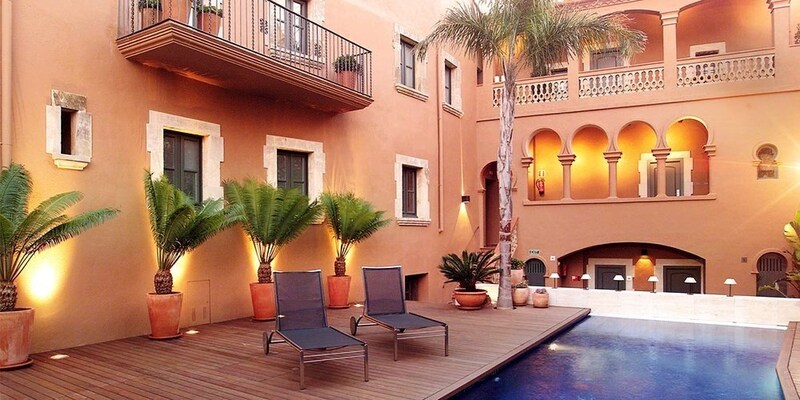 Marrakesh: design hotel stay, up to 46% off! 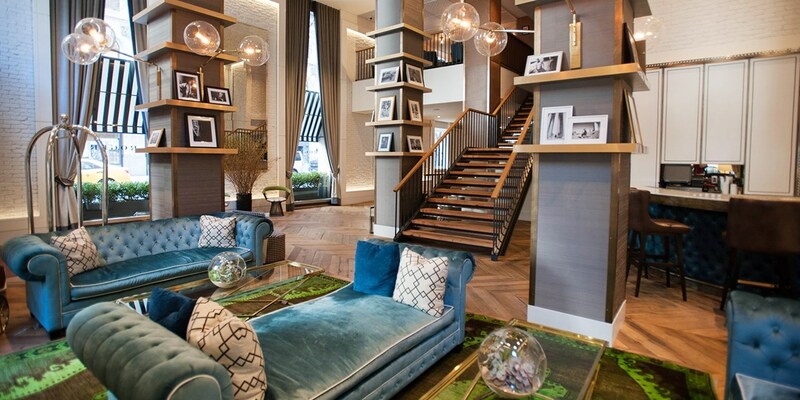 NYC: Hip 4-Star Hotel on UWS, 40% off! 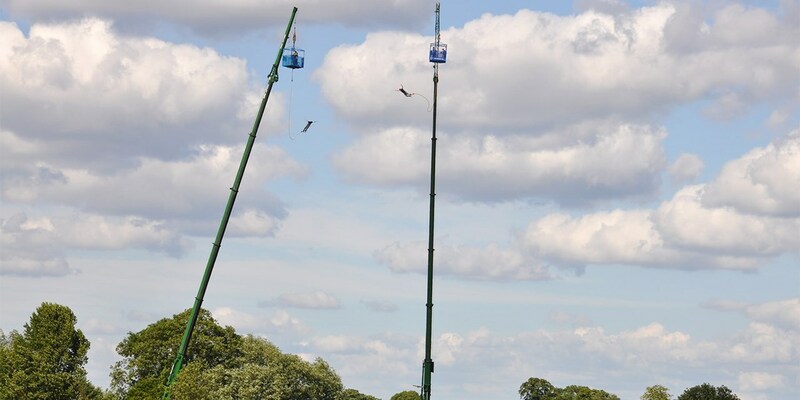 160-foot bungee jump at 10 UK locations, from £39! Exhilarating bungee-jumping experiences now start from £39 with this deal from the UK Bungee Club, which is available at a choice of 10 locations nationwide. Ironbridge Gorge Museums: annual entry, 34% off! Ironbridge Gorge was one of the first seven UK sites to be granted UNESCO World Heritage Site status, 30 years ago. 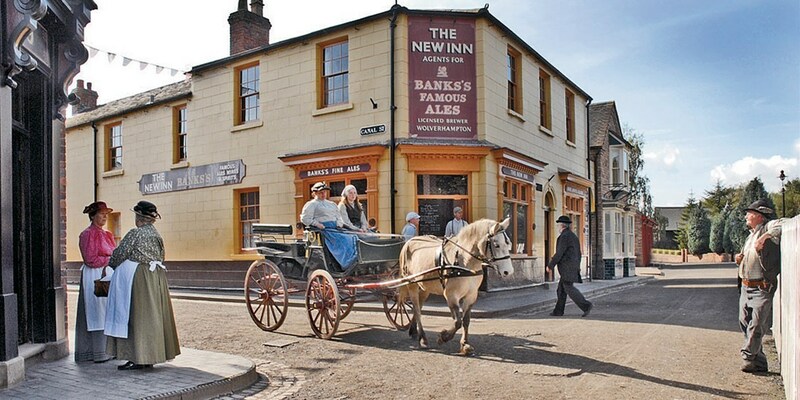 You can now get unlimited entry to all 10 of the Ironbridge Gorge museums for £16.50. 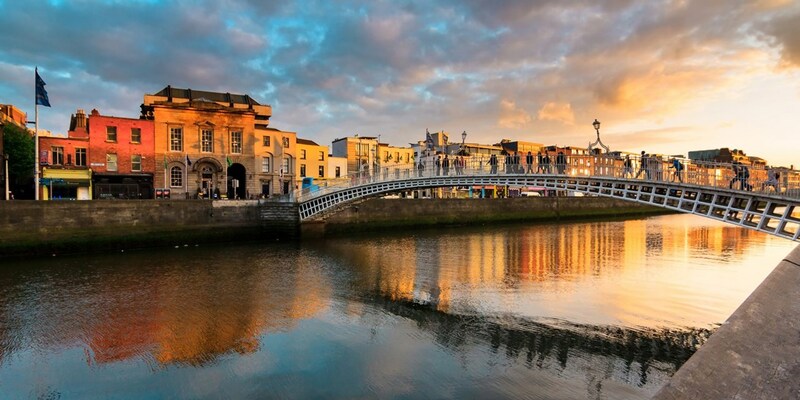 New international hotel deals & Xmas gifting! 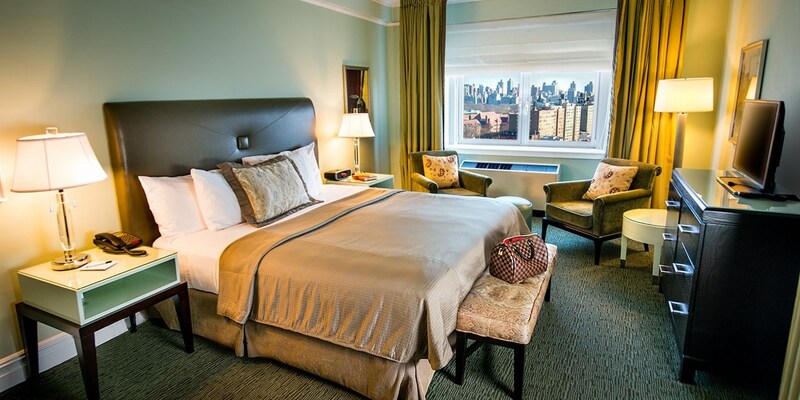 NYC: Suite Stay on Upper West Side, 55% Off! 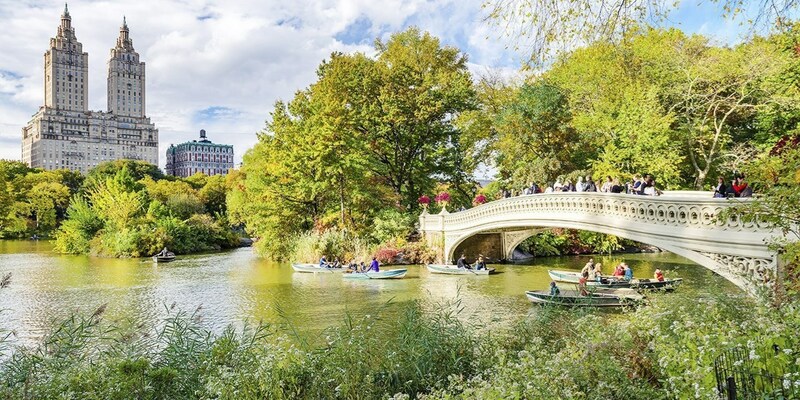 Save 55% on winter rates at this historic Upper West Side hotel, where rooms are extra large suites with fully equipped kitchens. Act fast, these Cyber Monday rates won't last long. 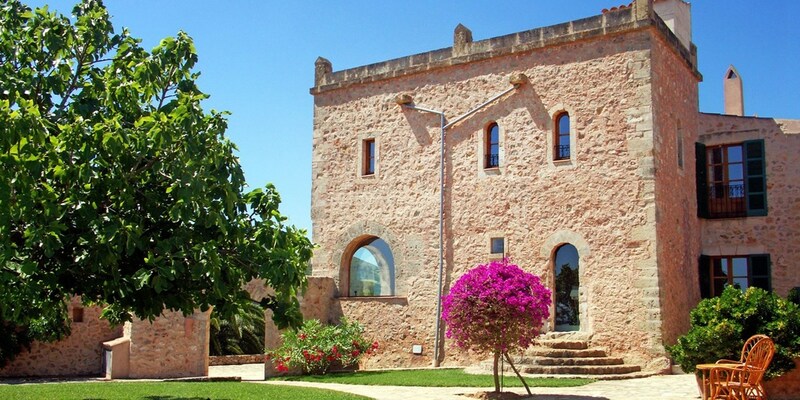 Spain: 5-star stay in Ribera del Duero w/wine, 30% off! Deluxe Kyoto Stay nr Imperial Palace inc Breakfast, Up to 38% Off! 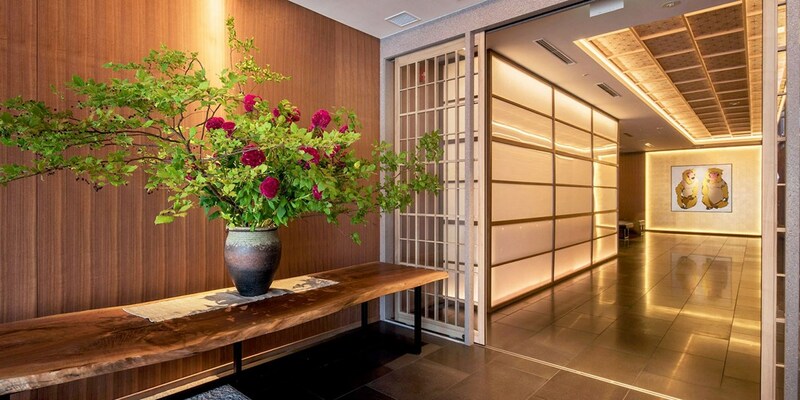 Check into this "stylish boutique hotel" (Lonely Planet) boasting views of Kyoto's Imperial Garden for just £96 a night. 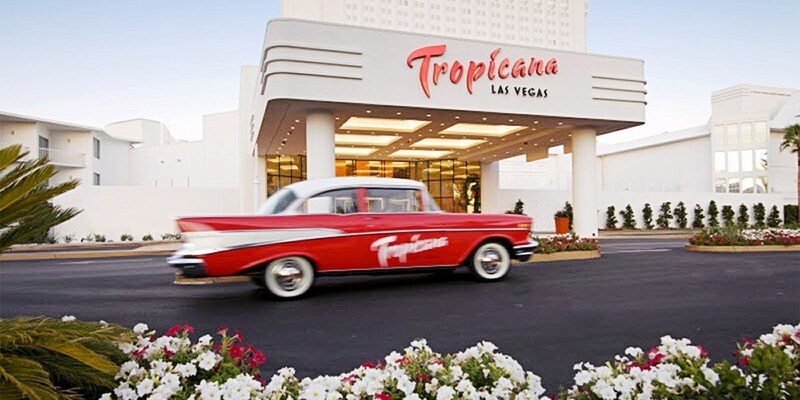 Classic Vegas Strip Hotel with Spa & Dining Extras! 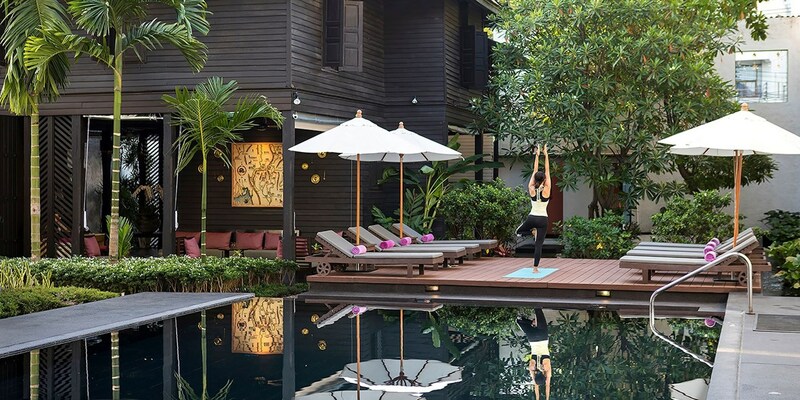 Travelzoo members get exclusive extras for stays through winter at this laid-back, tropical hotel. 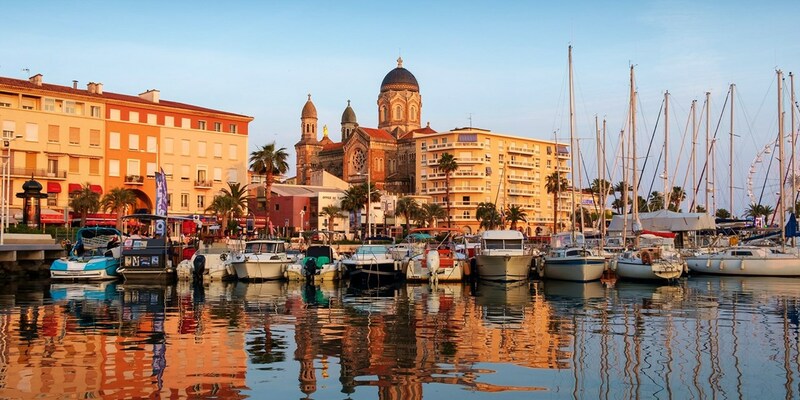 France: 4-star hotel in Côte d'Azur, up to 33% off! 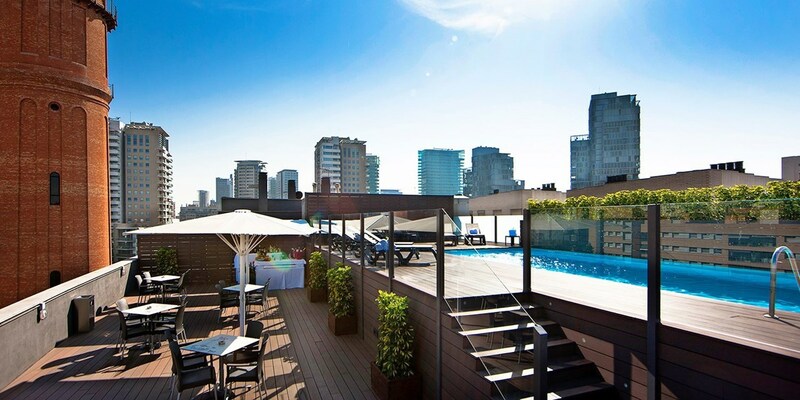 Sleek Montreal Hotel w/Breakfast, 35% Off! 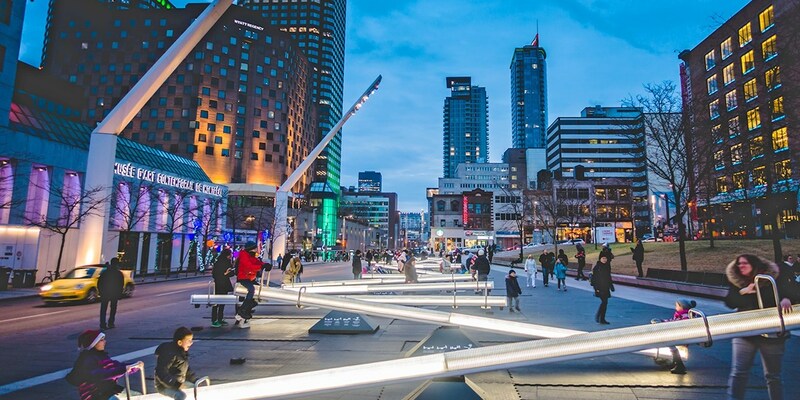 Combine bustling pubs and steaming sugar shacks with 18th-century architecture and a vibrant food scene -- that's Montreal during the winter season. 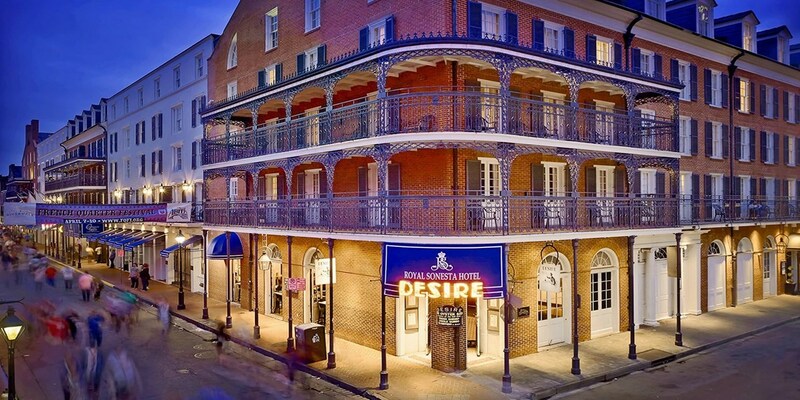 Save 35% on your stay with this deal. 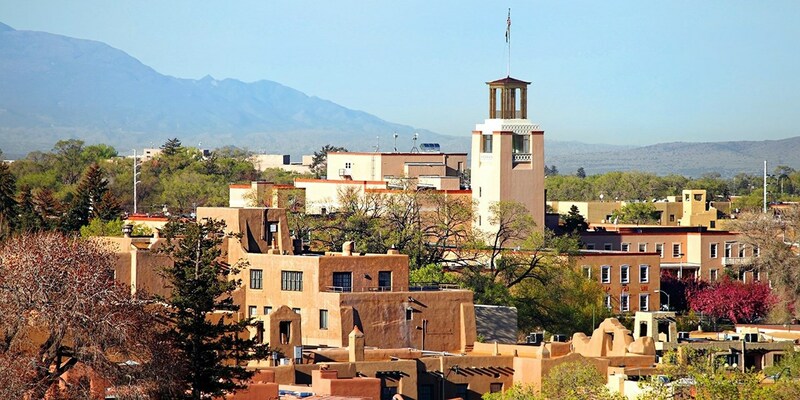 Luxe 3-Nt Stay in Historic UNESCO Building w/Upgrade & Transfers! 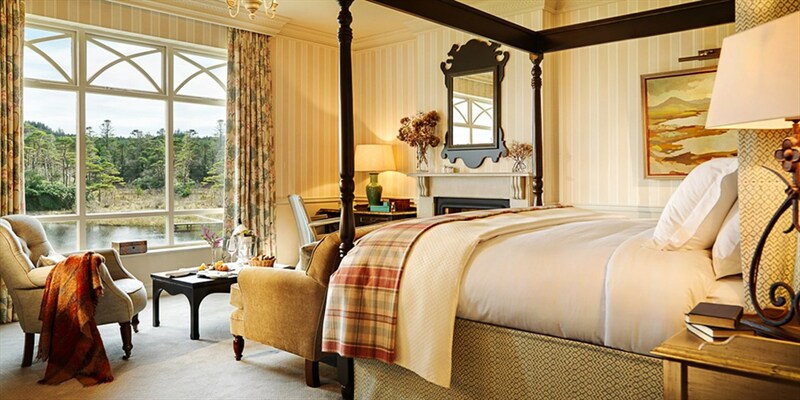 Garden Suites start from £251 a night, but Travelzoo members enjoy a complimentary upgrade to the Heritage Suite (reg. 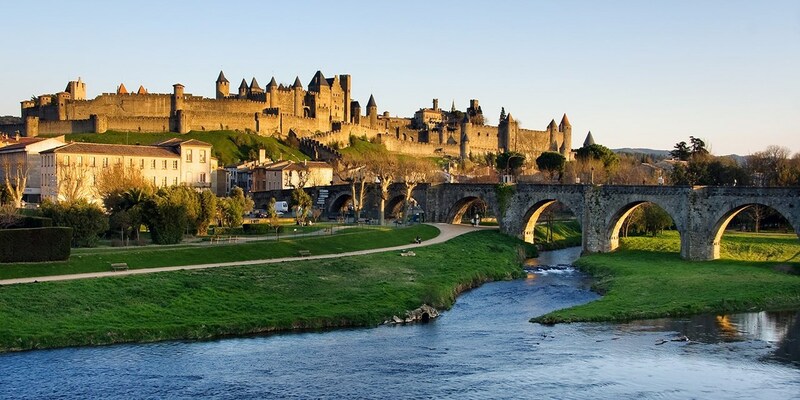 £327-£486) -- that's savings of up to 57%. 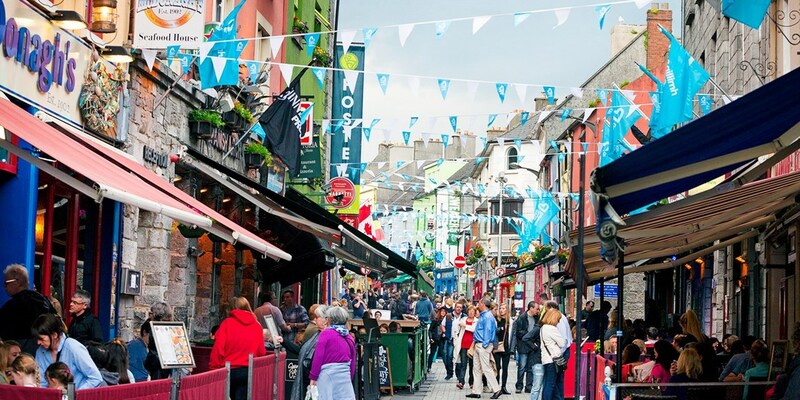 BrewDog beer tasting for 2 at 35 venues across the UK, Only £20! 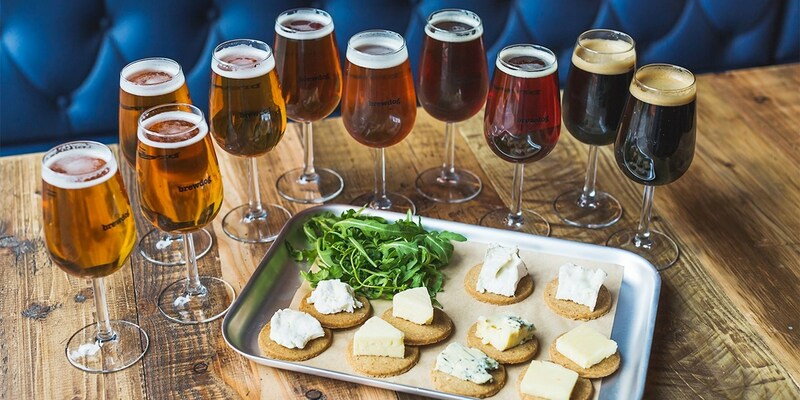 BrewDog are offering a craft beer-tasting experience, including cheese pairings, for two at 35 of their venues across the UK for half the usual cost. 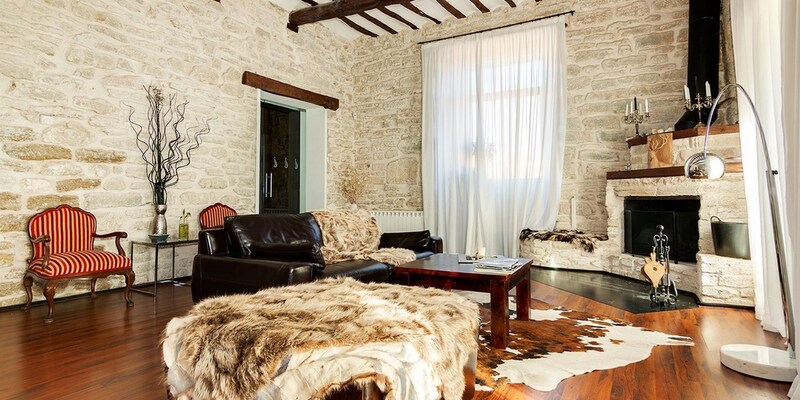 Gloucestershire: Tudor farmhouse escape, Only £99! Expect "fine food, luxury and history, with plenty of walks on the doorstep" at Tudor Farmhouse Hotel, says The Guardian. 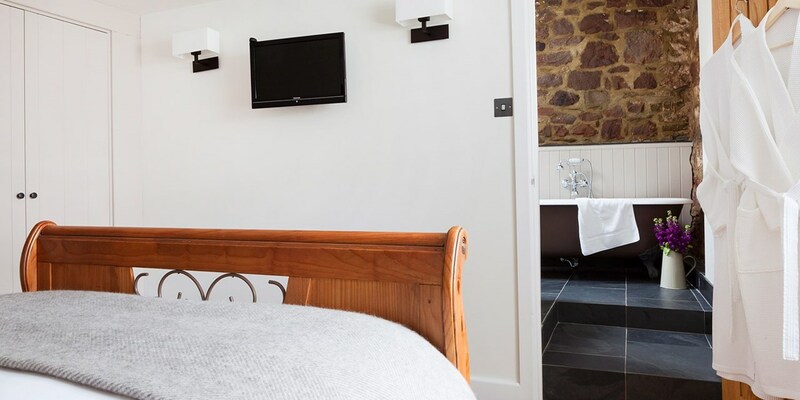 Stays at this "gorgeous boutique hotel" (Lonely Planet) on the edge of the Forest of Dean are now £99 per room, with breakfast and cream tea. Afternoon tea & bubbly for 2 near Oxford Street, Only £29! 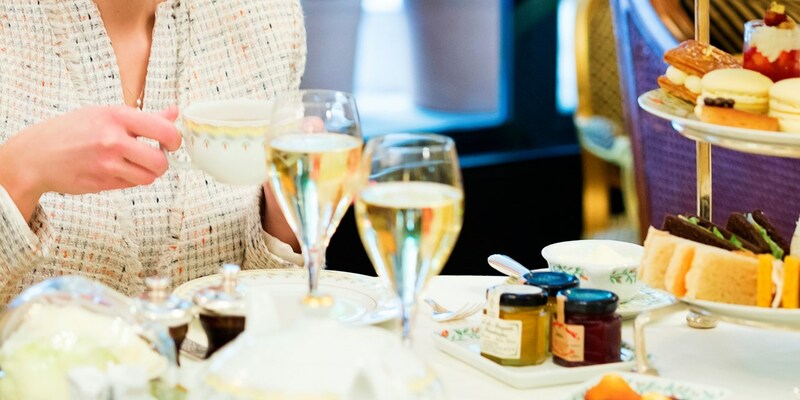 Afternoon tea and bubbly for two at the Amba Hotel Marble Arch is now £14.50 a head, saving 53% on the regular cost. 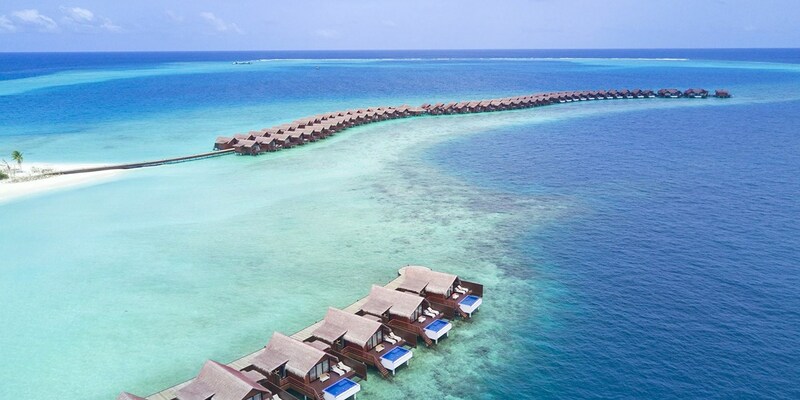 Up to 70% off international hotels! 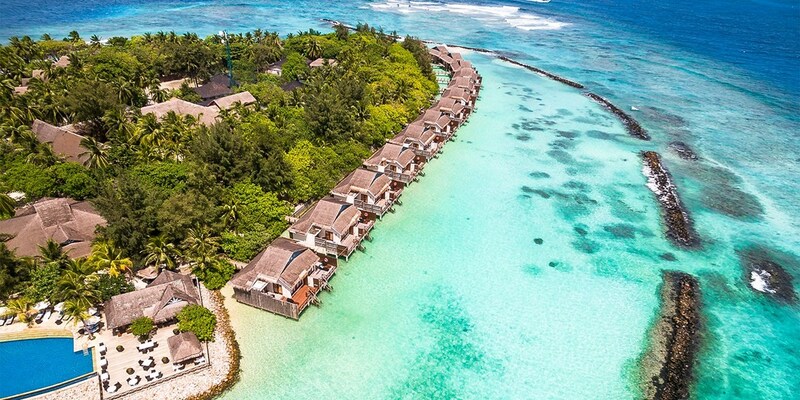 Save up to 70% on these amazing international hotel deals secured exclusively for Travelzoo customers! 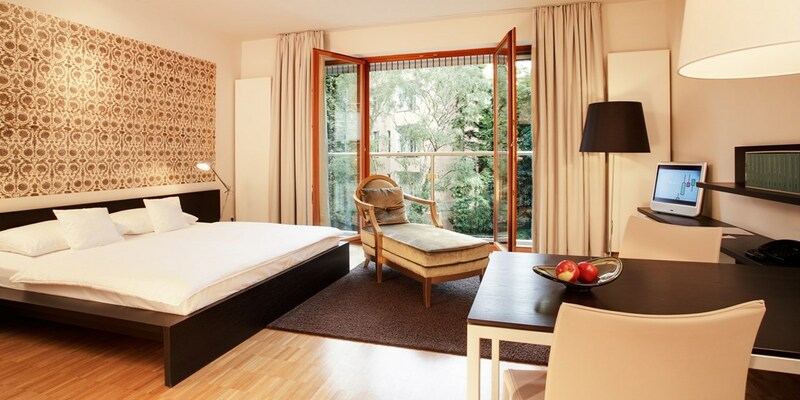 Stuttgart: design city hotel stay with breakfast, 30% off! 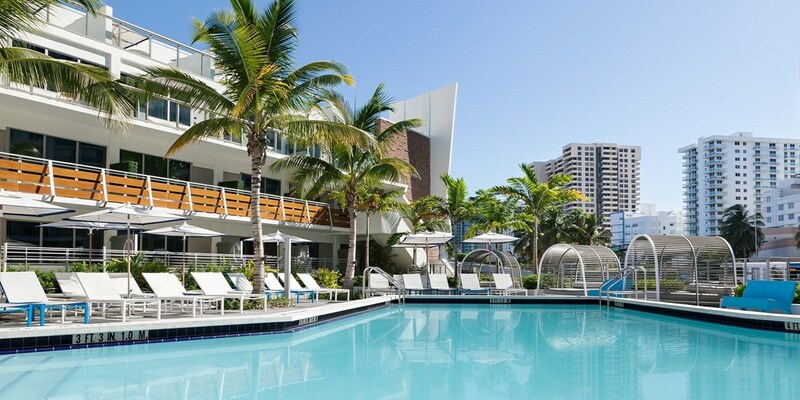 Suite at New Hollywood Beach Resort, 40% Off! 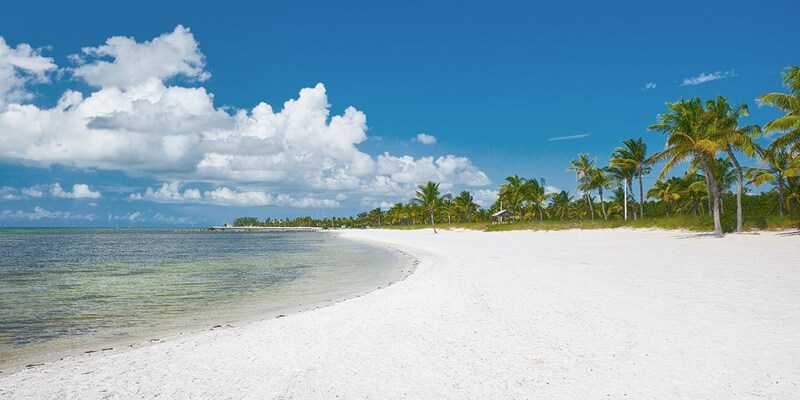 There's always a reason to plan a beach retreat in the Sunshine State. 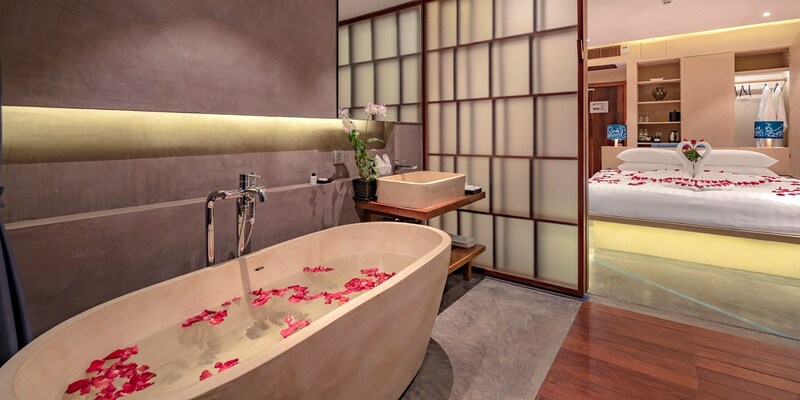 With this deal, Travelzoo members save 40% on chic one-bedroom suite stays at a new 4-star resort. 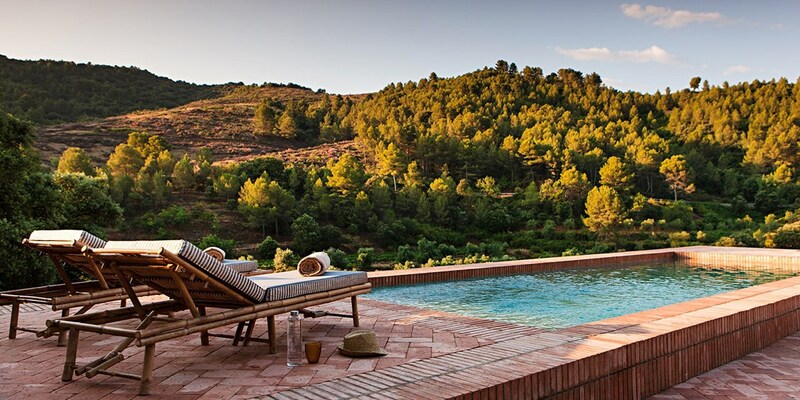 Spain: 2-night luxury wine-hotel stay near Tarragona, 51% off! 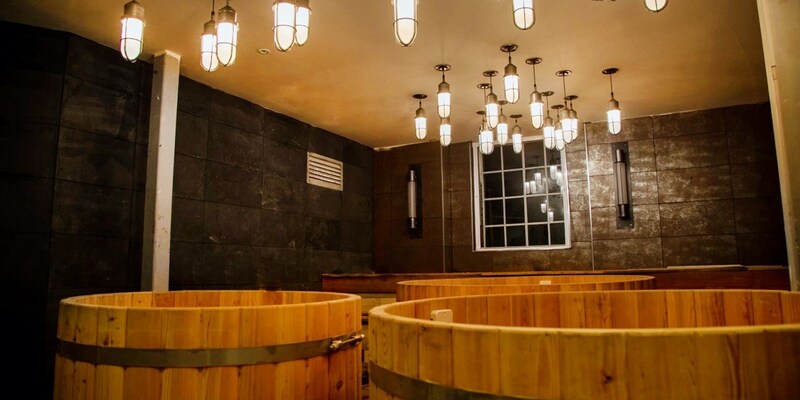 NYC: Posh James Soho Hotel, 45% Off! 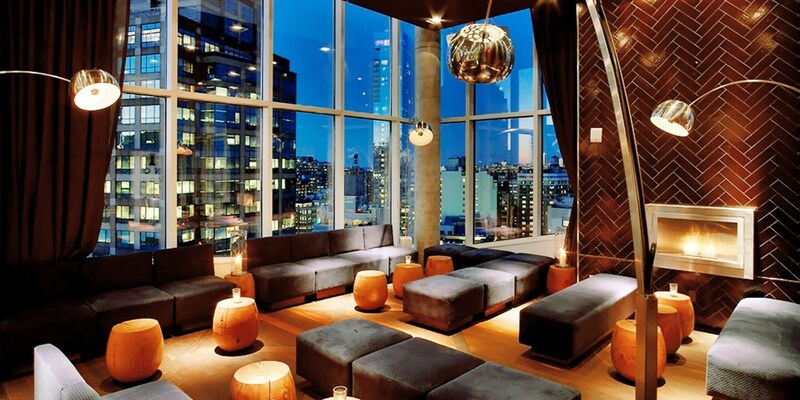 NYC's Soho neighborhood is known for cobblestone streets, high-end art galleries and the best shopping in the city. 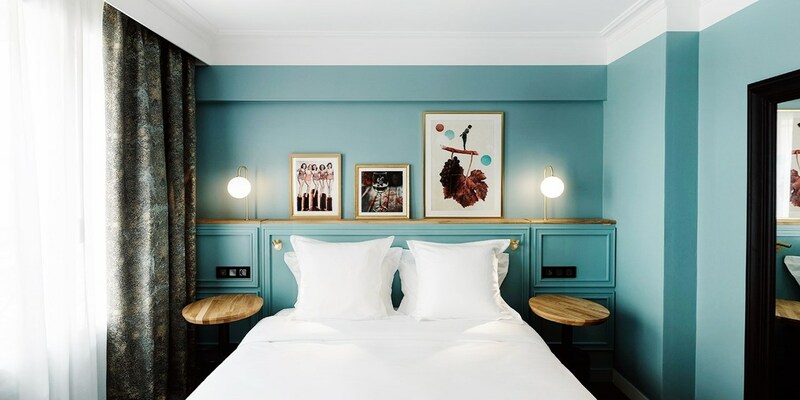 For the first time on Travelzoo, the trendy James Hotel in the heart of Soho is offering exclusively discounted stays that include two complimentary drinks and waived resort fee, rare for New York City. 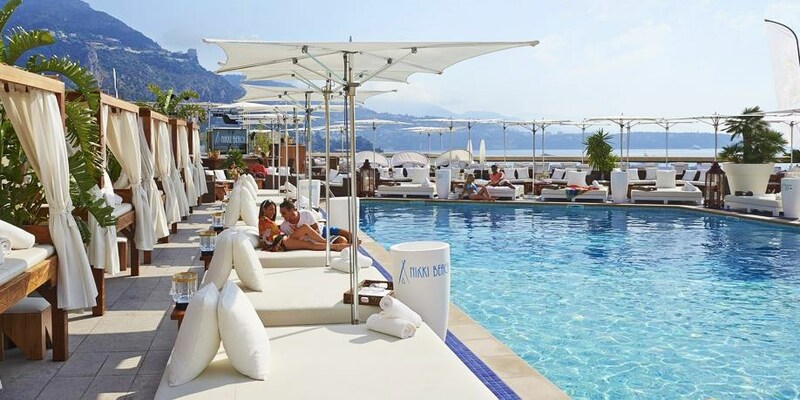 3-night deluxe Mallorca stay, 45% off! 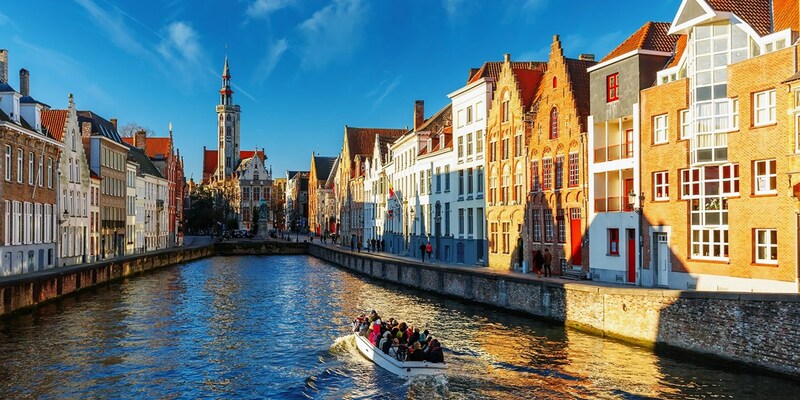 Historic Bruges hotel stay w/breakfast, 38% off! 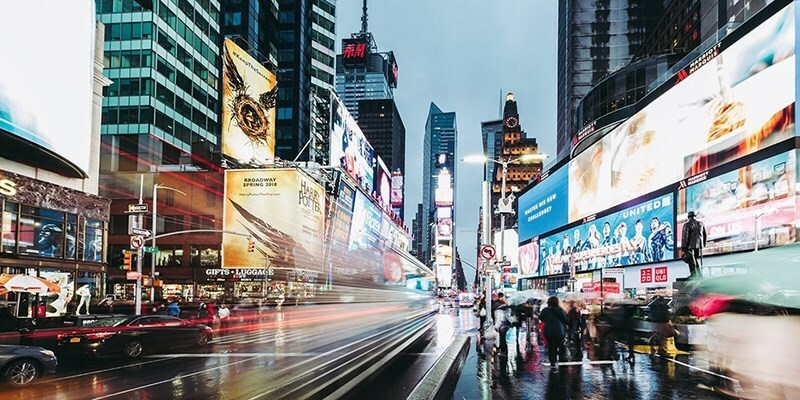 NYC: Brand-New 4-Star Times Square Hotel, 70% Off! 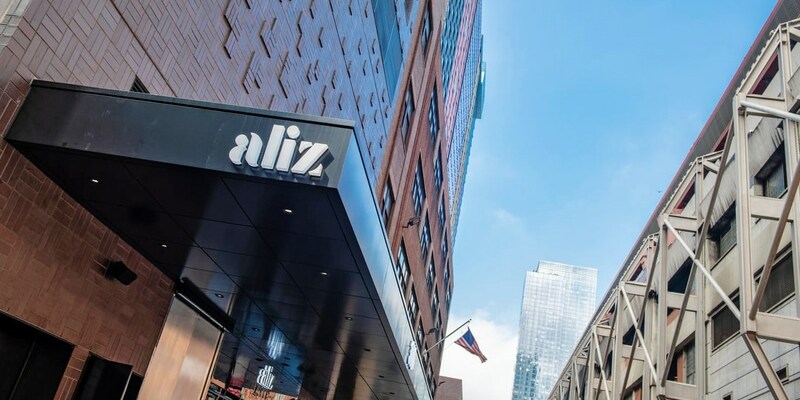 Located just a few blocks from Times Square, the brand-new Aliz Hotel Times Square is offering Travelzoo members exclusive savings on stays through February. 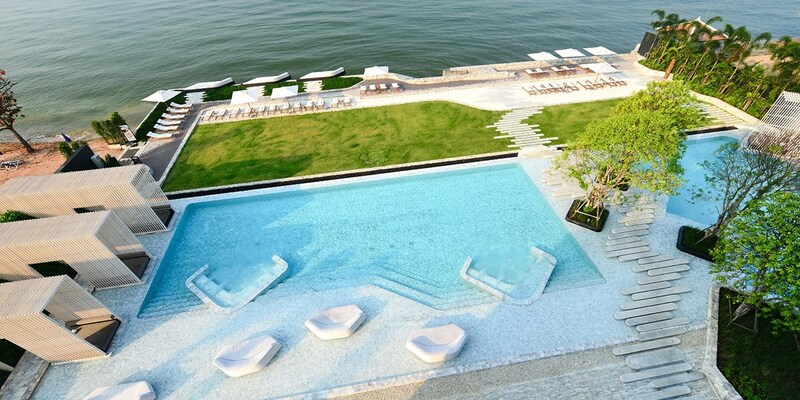 Even better: There's no resort fee, which is rare for NYC hotels. 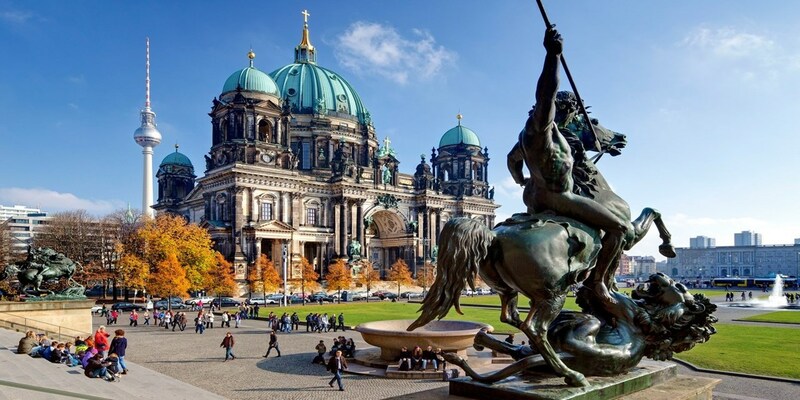 Central Berlin hotel stay, save 45%! 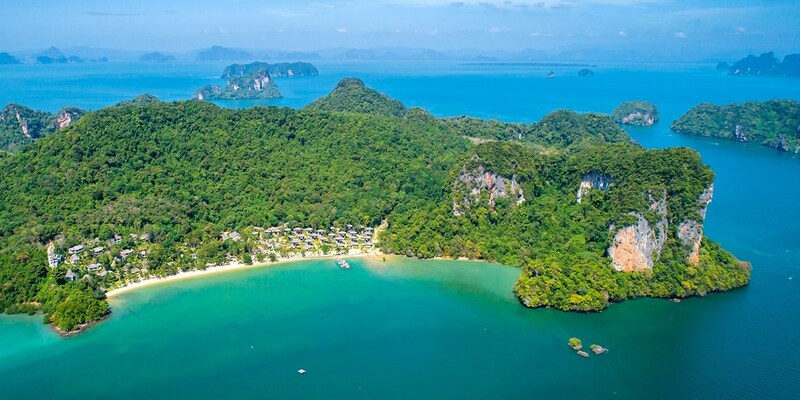 Save up to 65% on these amazing international hotel deals secured exclusively for Travelzoo customers! 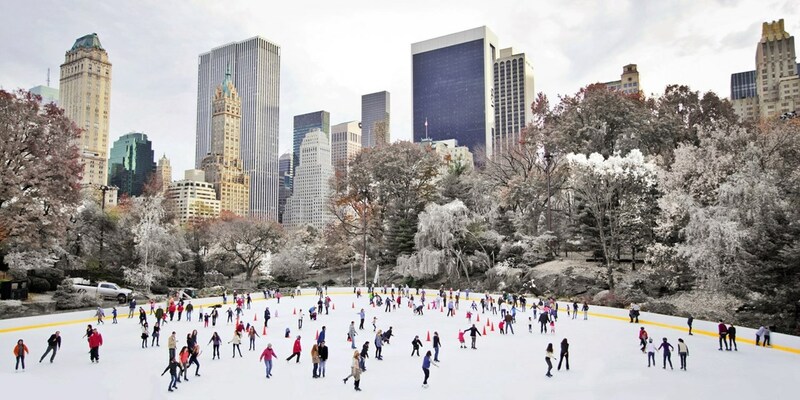 NYC 4-Star Stay near Empire State Building, 45% Off! 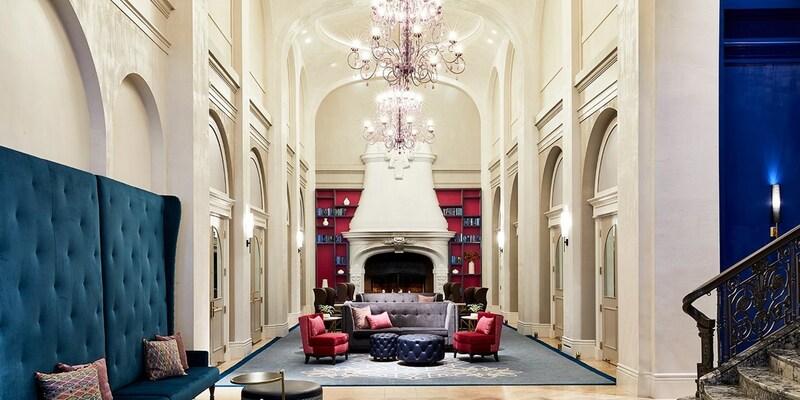 This boutique 4-star property is within walking distance to some of NYC's best shopping and dining options. 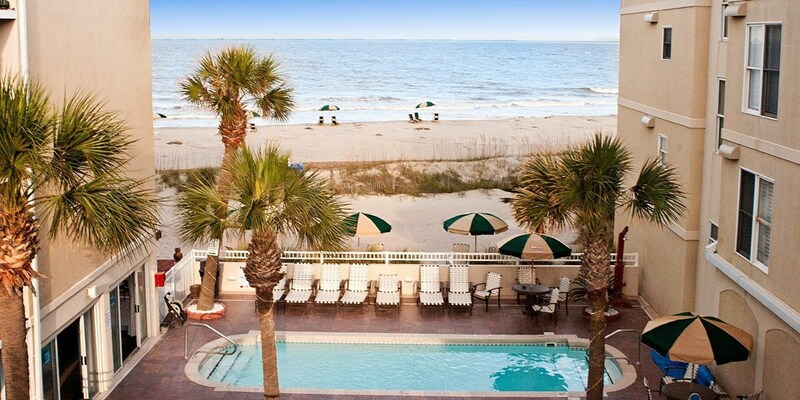 Save up to 45% on winter stays -- including Christmas week -- plus get a waived facility fee. 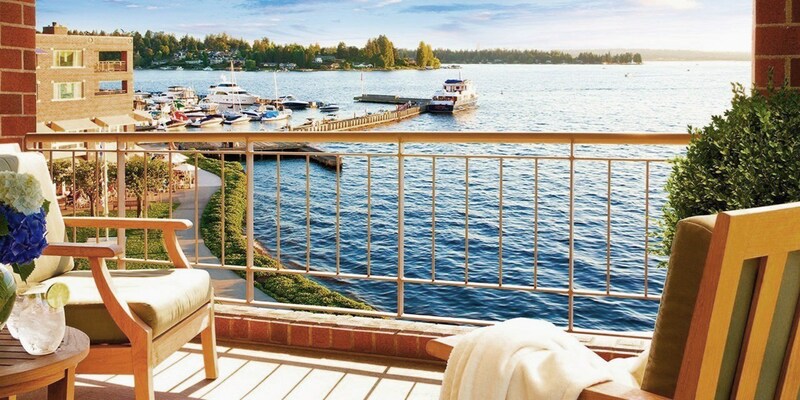 Lake Tahoe 4.5-Star Hotel incl. Ski Season, 45% off! 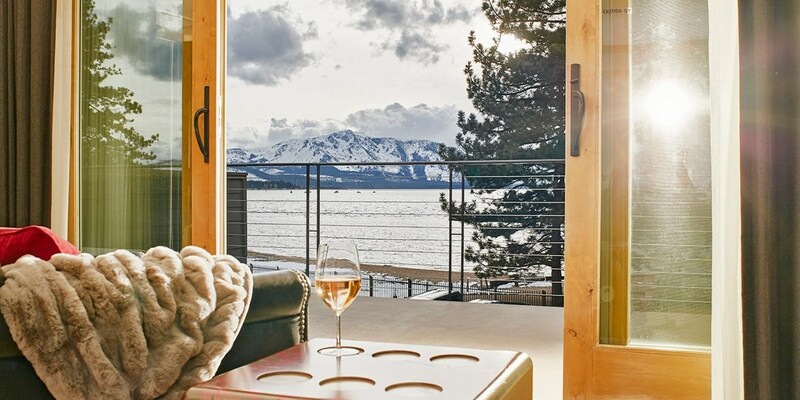 Enjoy savings of up to 45% during ski season at this 4.5-star resort that overlooks Lake Tahoe and is located only blocks away from downtown. 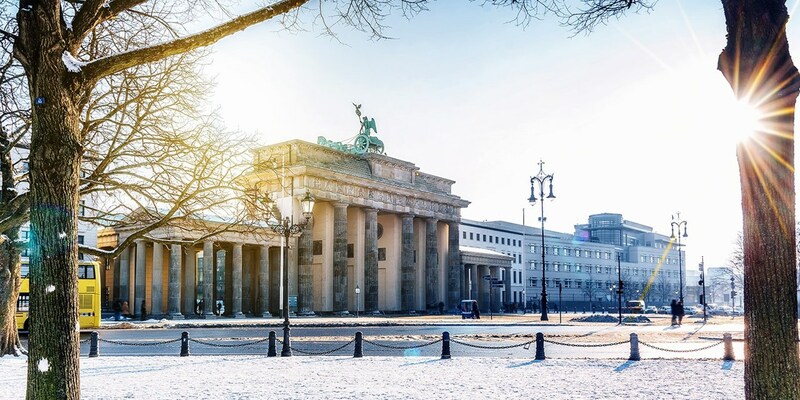 Berlin 5-star escape, up to 30% off! 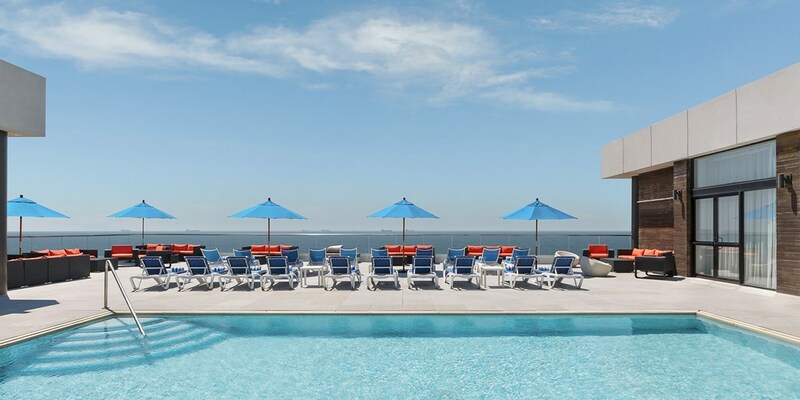 San Diego 4-Star Kimpton Hotel, 55% Off! 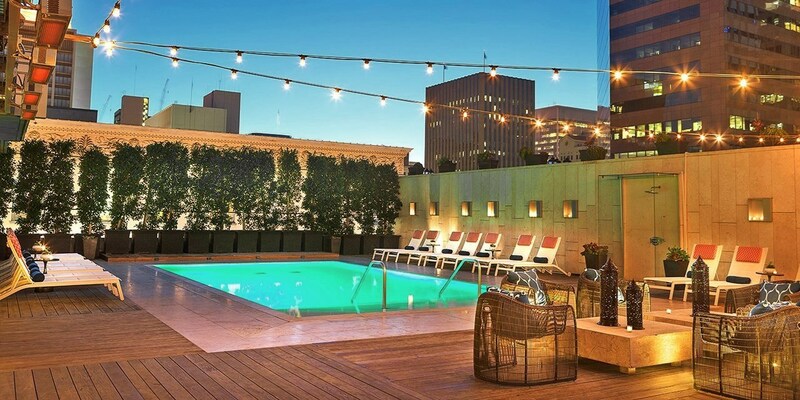 A rooftop pool and a nightly social hour with complimentary wine await at the swanky downtown Hotel Palomar, where Travelzoo members save up to 45% on regular rates through most of summer. 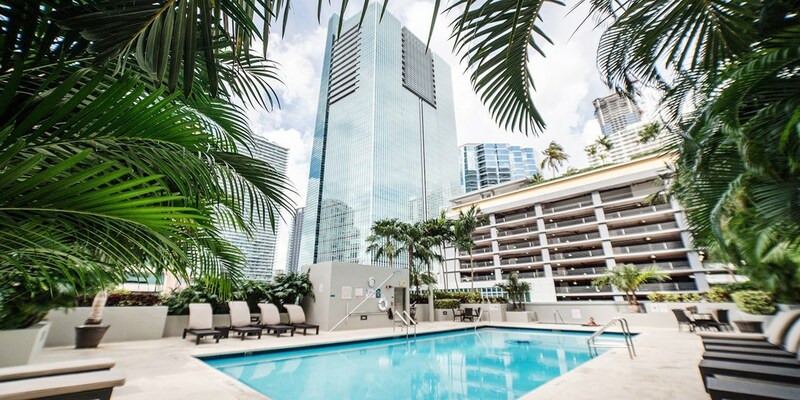 Visit Miami: Suite at 4-Star Downtown Hotel, 45% Off! 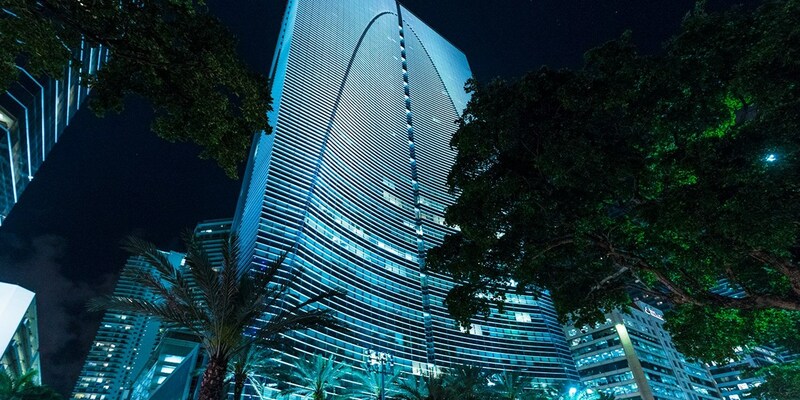 Spread out in spacious suite accommodations in the heart of Miami's Brickell neighborhood, home to a plethora of shops, restaurants and bars. 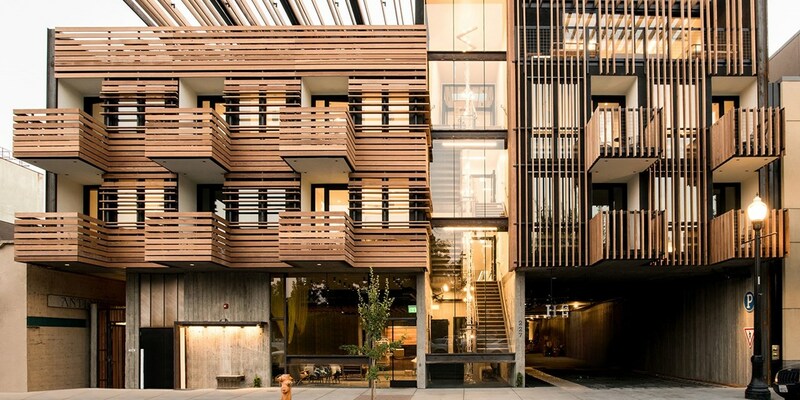 This upscale condo-style hotel saves Travelzoo members up to 45% into December. 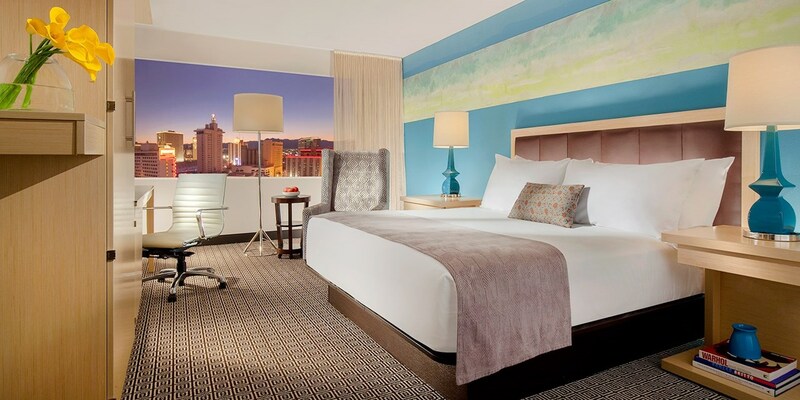 Vegas All-Suite Hotel w/Dining Credit, 50% off! 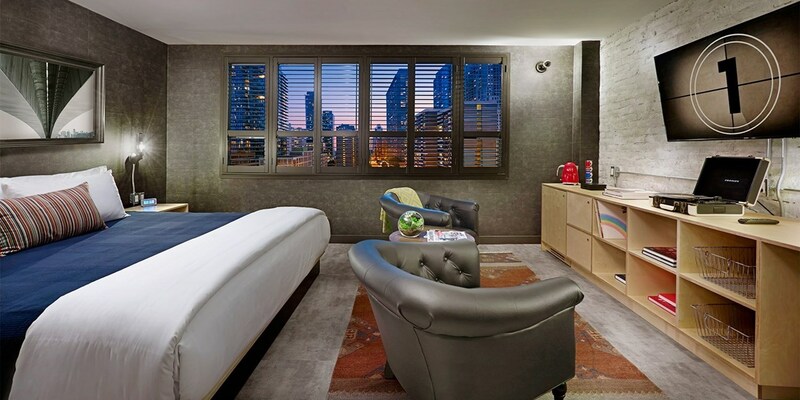 This is the first time we've featured an exclusive deal with this all-suite, family-friendly hotel that is only a block away from the Vegas Strip. 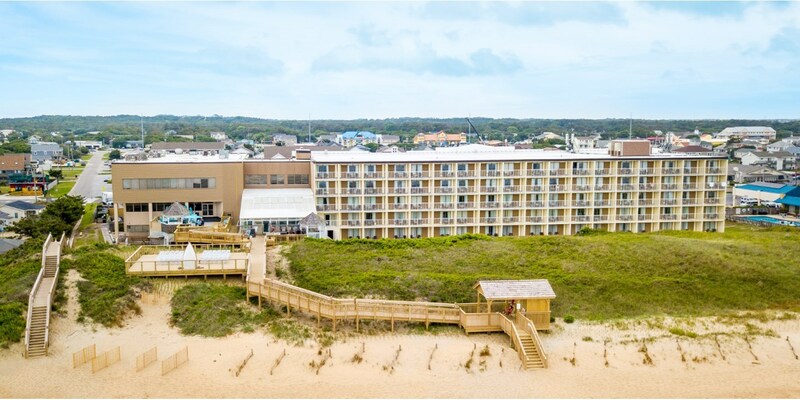 Texas: Family-Friendly Resort, 40% Off! 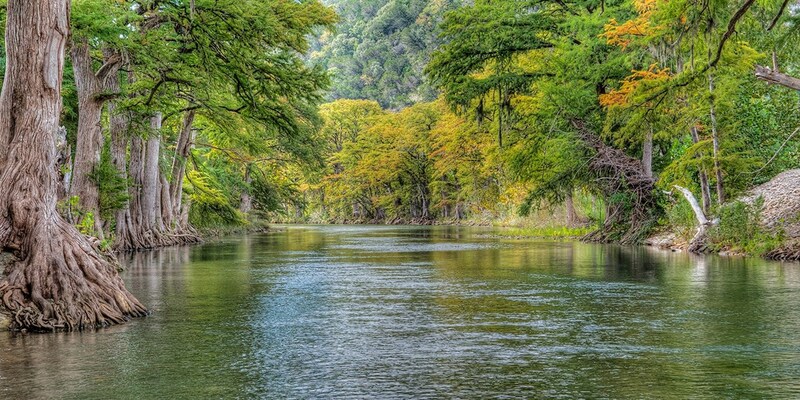 Plan a fun-filled winter family getaway with activities for all ages and tons of holiday events in Gruene and New Braunfels -- members save up to 40% with this exclusive deal. 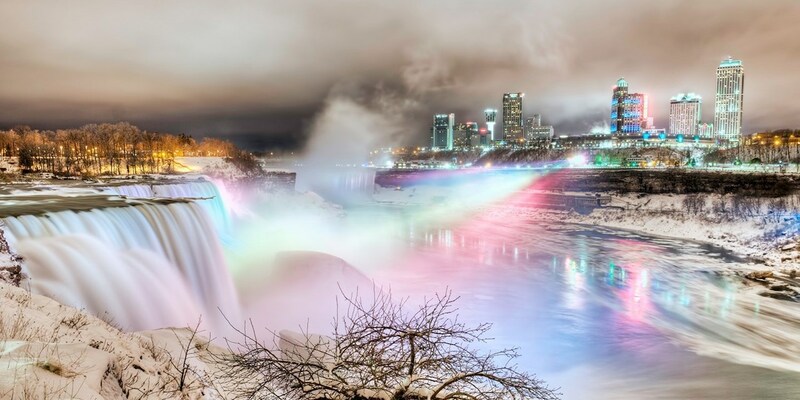 Niagara Falls Mansion with Parking, Wine & Breakfast, 50% off! 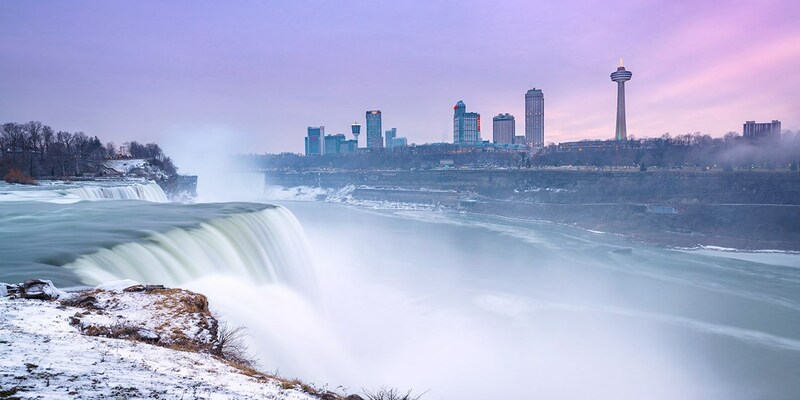 Slip away to this charming bed-and-breakfast overlooking the Niagara River this fall and winter. 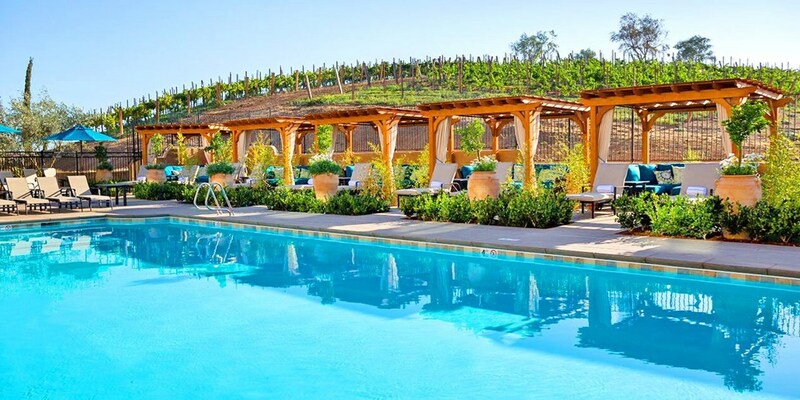 Spend the day exploring wineries and biking along the river, then settle in for the night with complimentary chocolates and a bottle of wine. 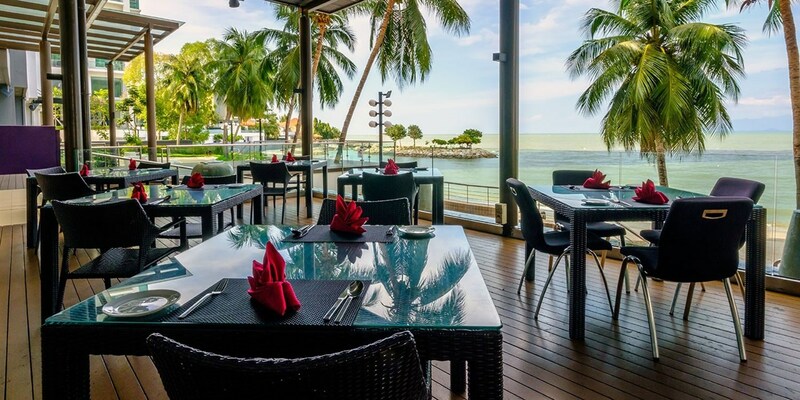 Travelzoo members save 50% on regular rates with these packages that include cooked-to-order breakfast for two. 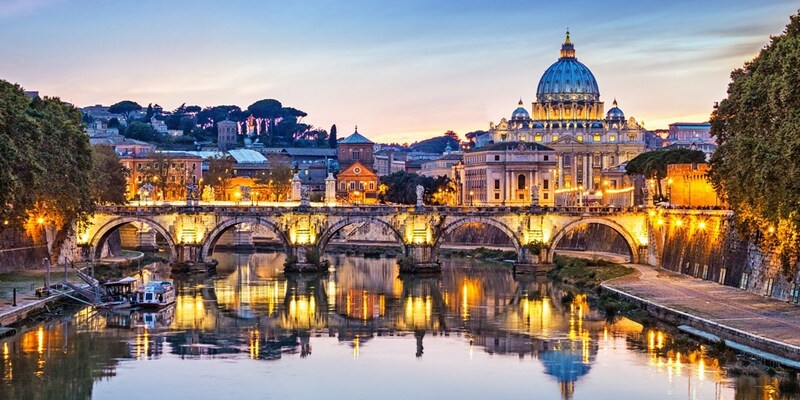 Rome: 2-night stay with views of the Basilica, 37% off! 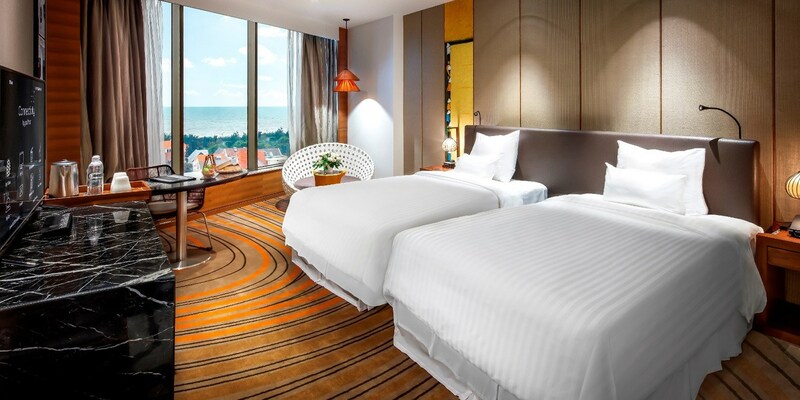 Up to 65% off international hotel deals! 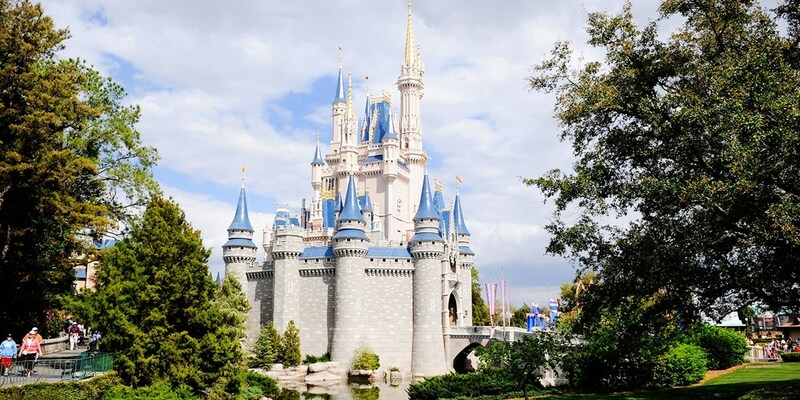 Stay within walking distance or a quick drive to major Hollywood Studios like Warner Bros., Universal Studios, NBCUniversal and Disney with this 50%-off deal at the 4-star Hotel Amarano. 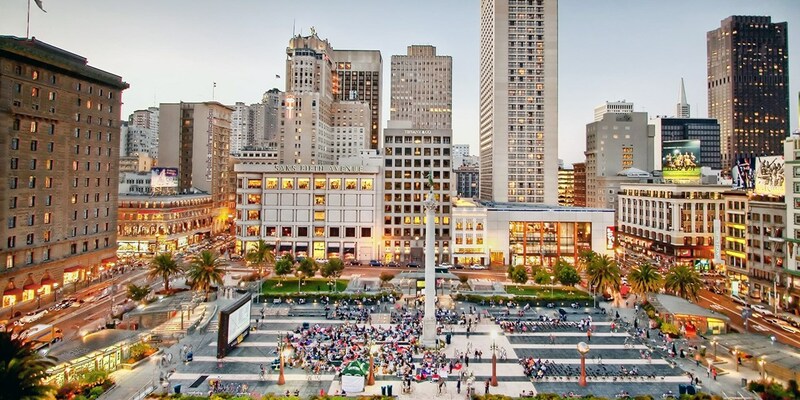 Central Park Hotel with City Views, 40% Off! 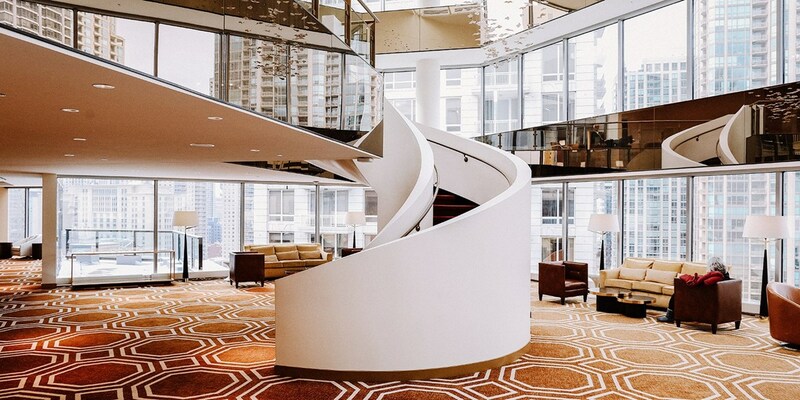 With floor-to-ceiling windows, modern decor and a location near Central Park, it's a no-brainer why Travelzoo members love this property. 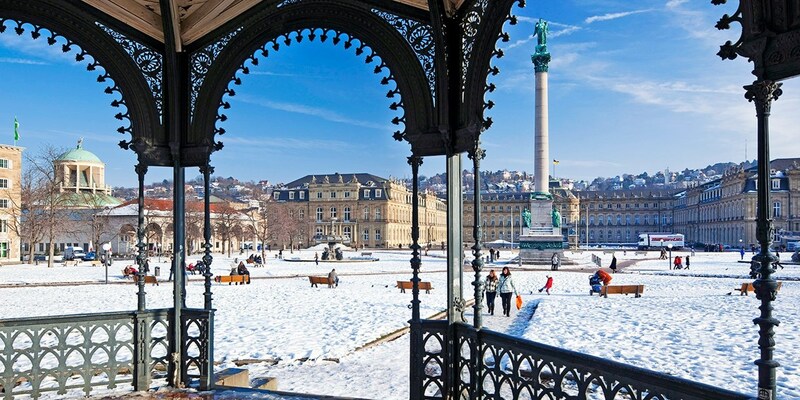 This deal saves up to 40% on regular rates for winter travel. 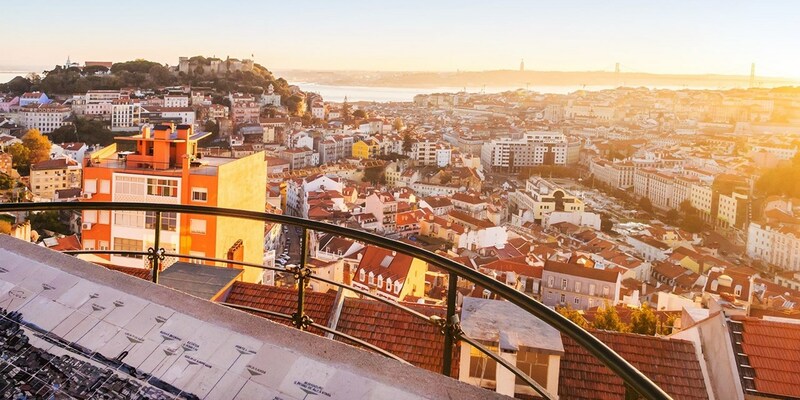 Lisbon: 4-star hotel stay with breakfast, 34% off! 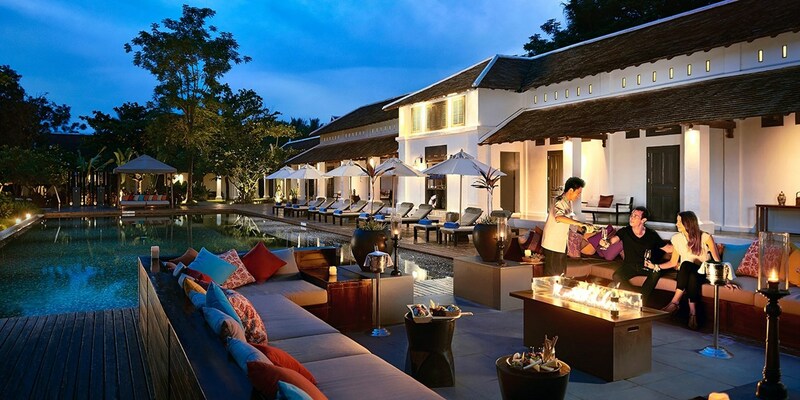 Named one of the 'World's Best Small Cities' at the 2018 Condé Nast Traveler Readers' Choice Awards, Chiang Mai is "undoubtedly the cultural capital of (Thailand)." 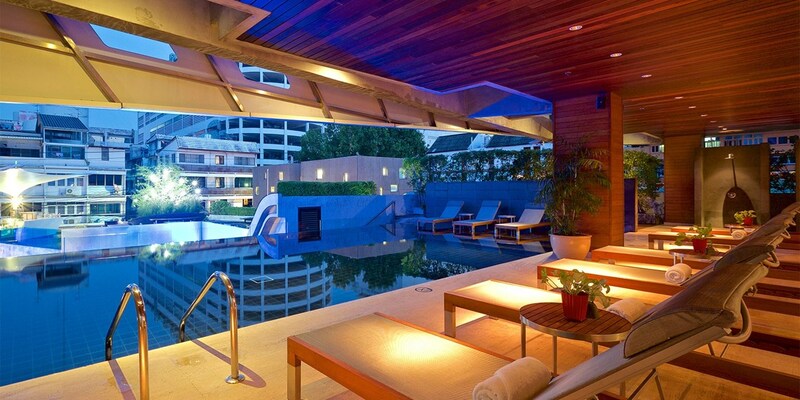 Note: Minimum nights required per booking; only 4-night stays include a guaranteed upgrade and daily cocktails. 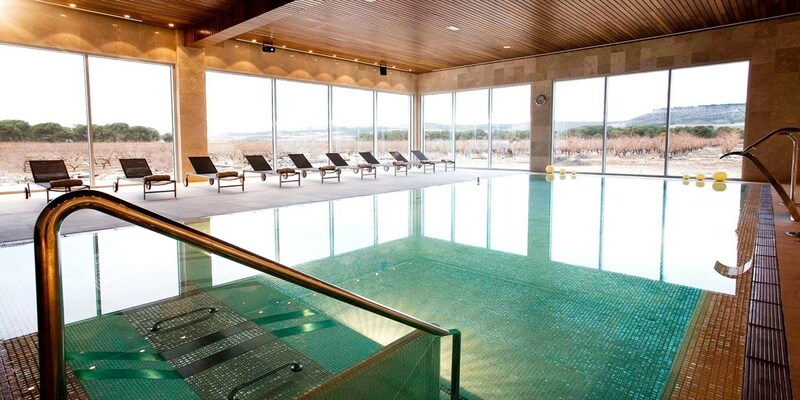 Northern Spain: 2-night Burgos stay w/jacuzzi, 30% off! 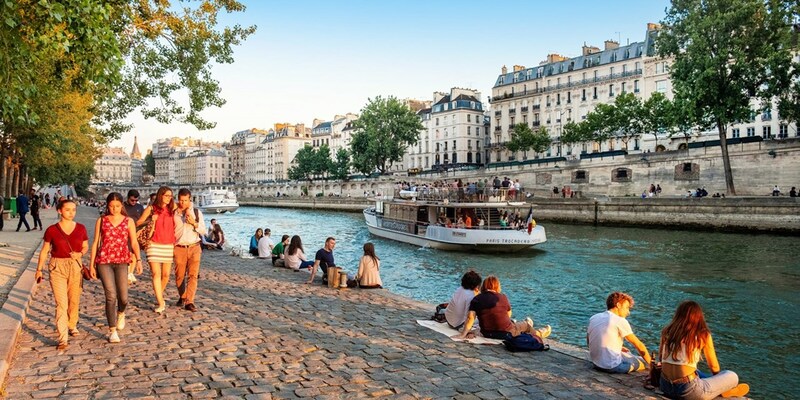 Paris: 4-star getaway w/welcome drink, 56% off! 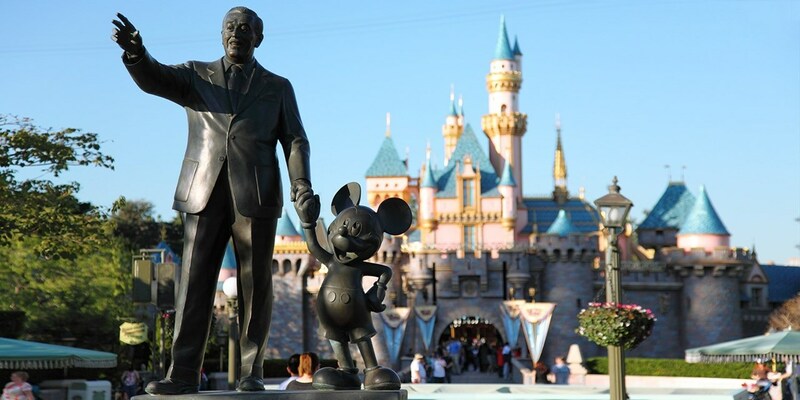 Stay near Disneyland incl. 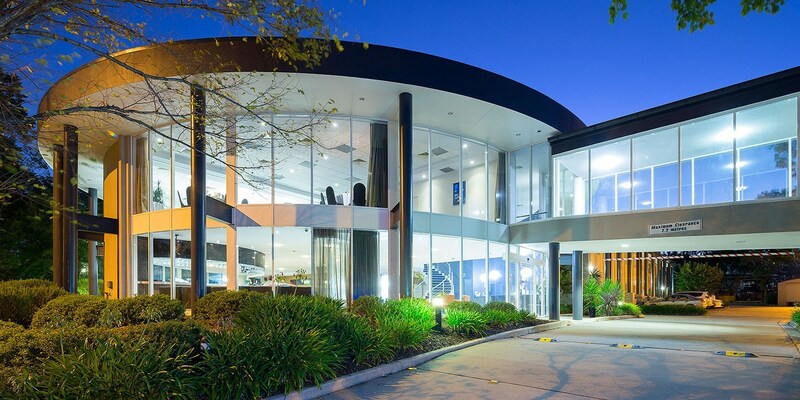 Breakfast & Parking, Save 50%! 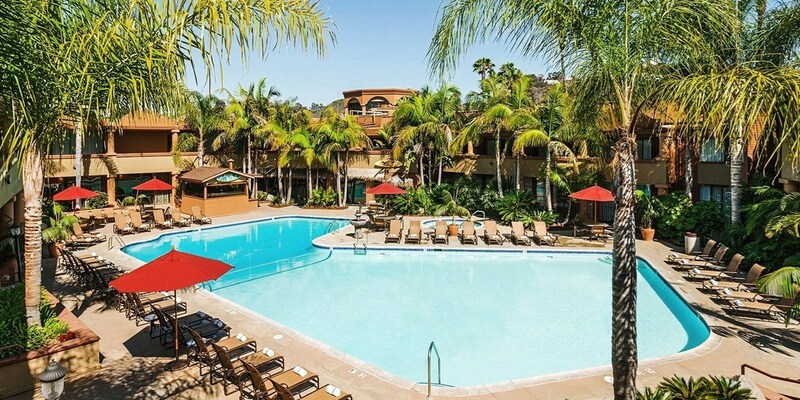 This newly renovated hotel sits on the border of Anaheim, about 15 minutes to Disneyland via a complimentary shuttle, and this deal saves 50% on regular rates. 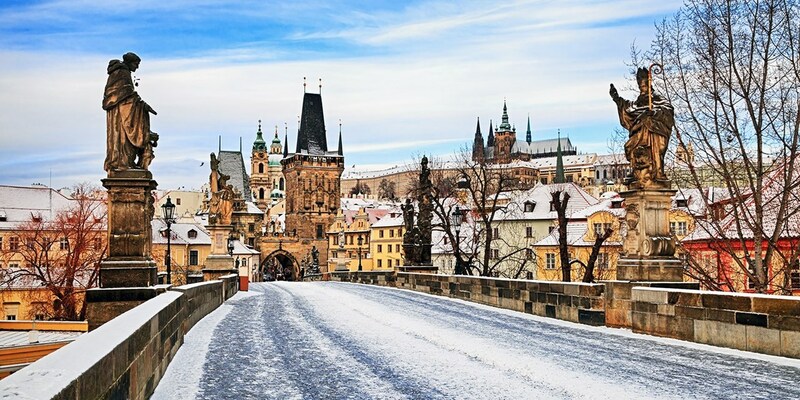 Prague: 4-star 2-night stay in Castle District, up to 41% off! 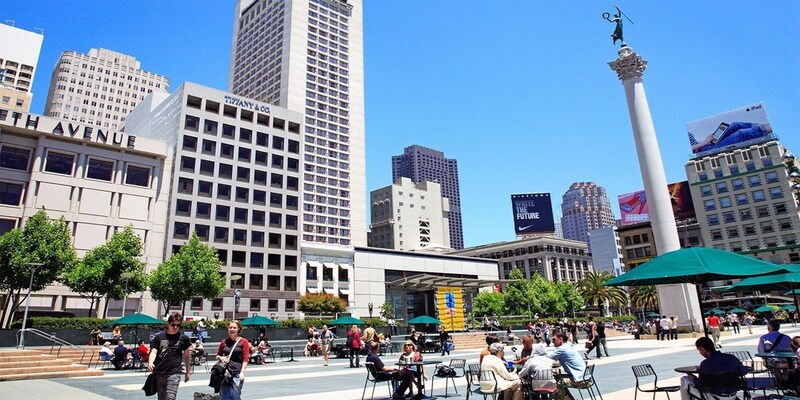 San Francisco: 4-Star Hotel, 65% Off! 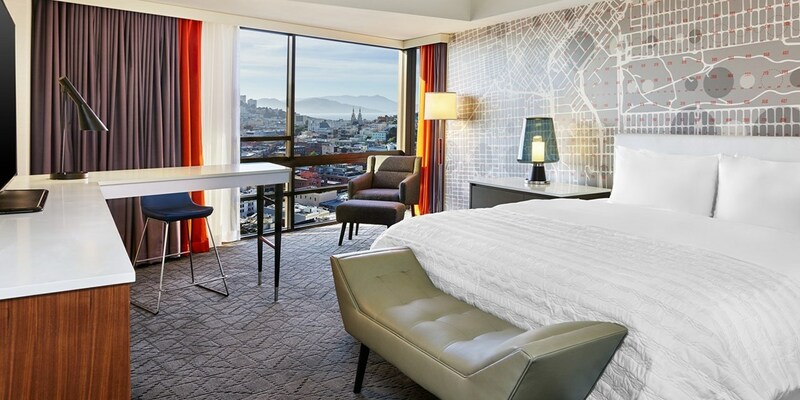 Save up to 65% at this member-favorite hotel minutes from Union Square, Fisherman's Wharf and the Ferry Building. 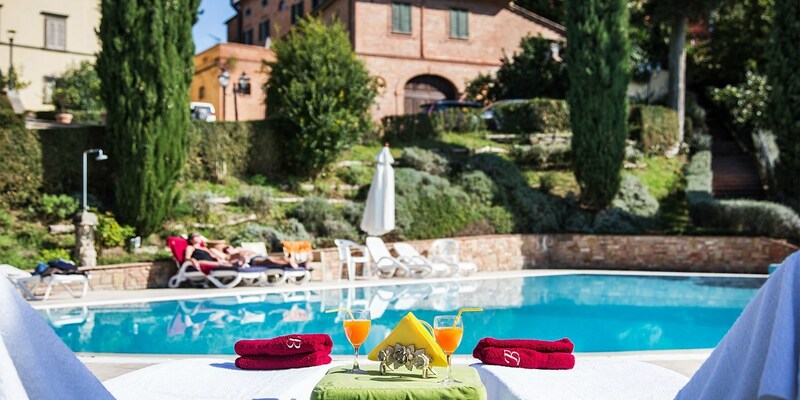 Tuscany: 5-star spa hotel stay with breakfast, 55% off! 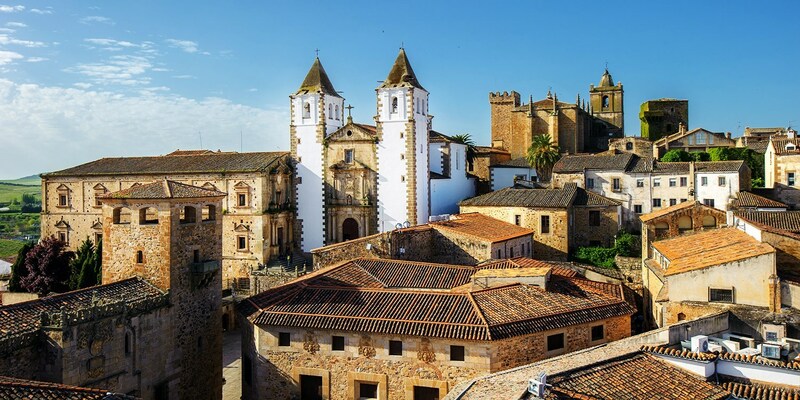 Spain: 4-star stay in the Costa Dorada, 39% off!